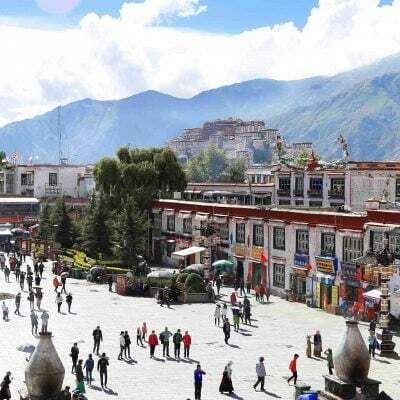 Fourteen days tour beginning in Lhasa, going to Mt. 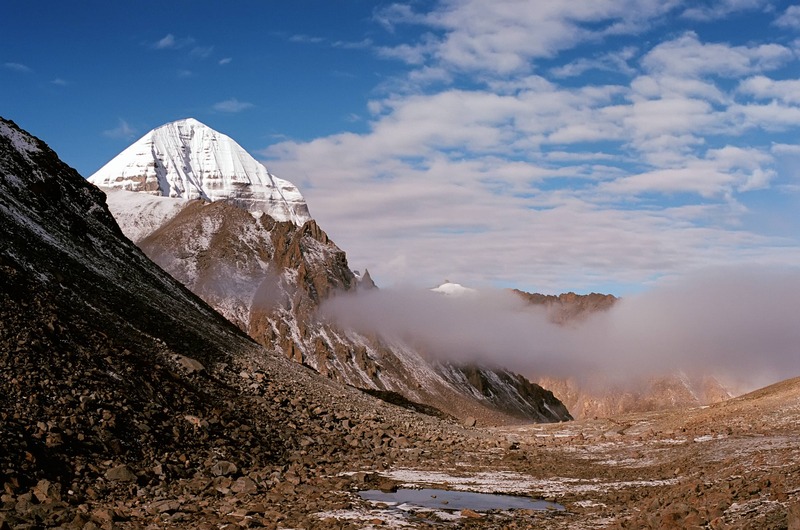 Kailash and ending at Gyirong, the border between Tibet and Nepal. 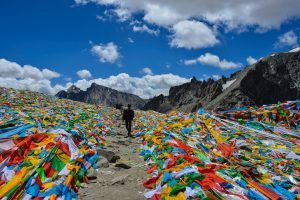 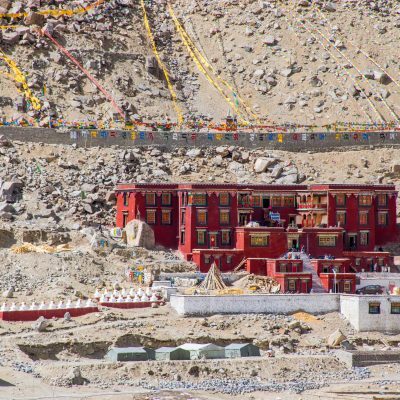 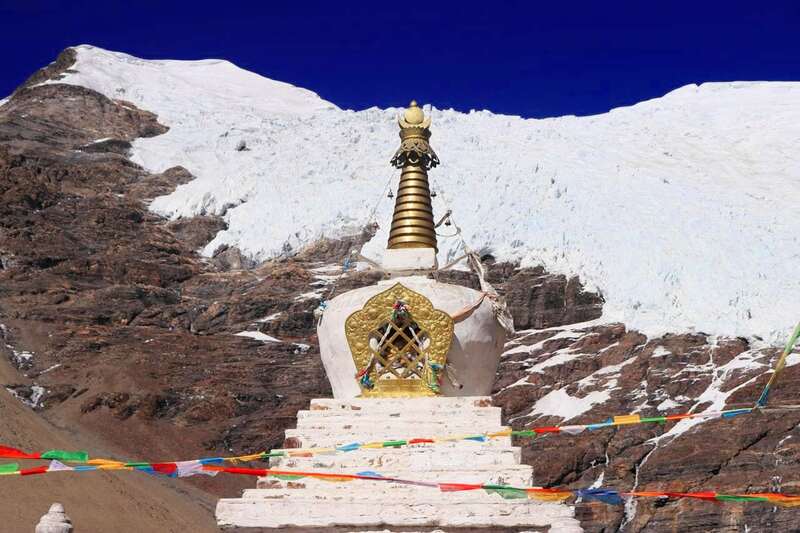 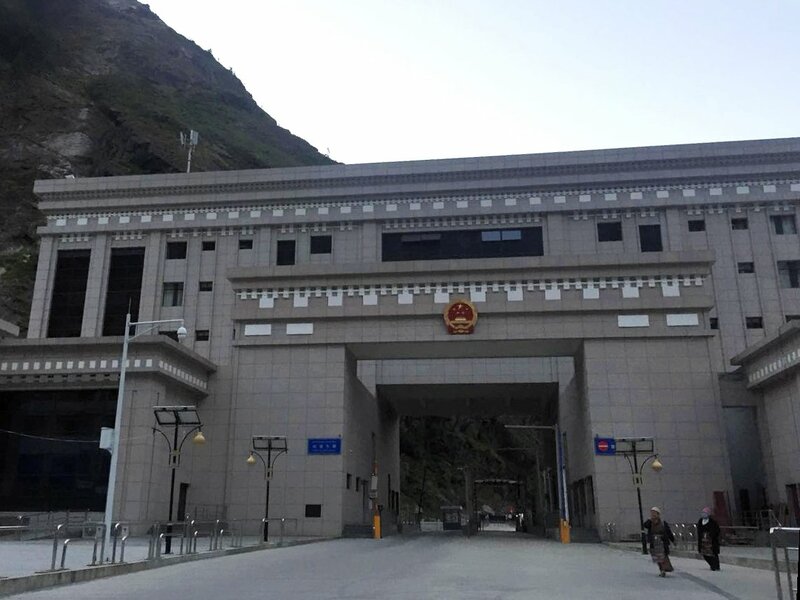 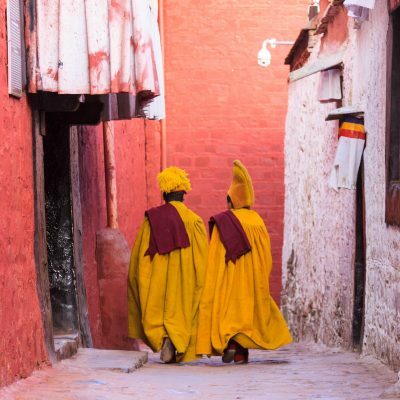 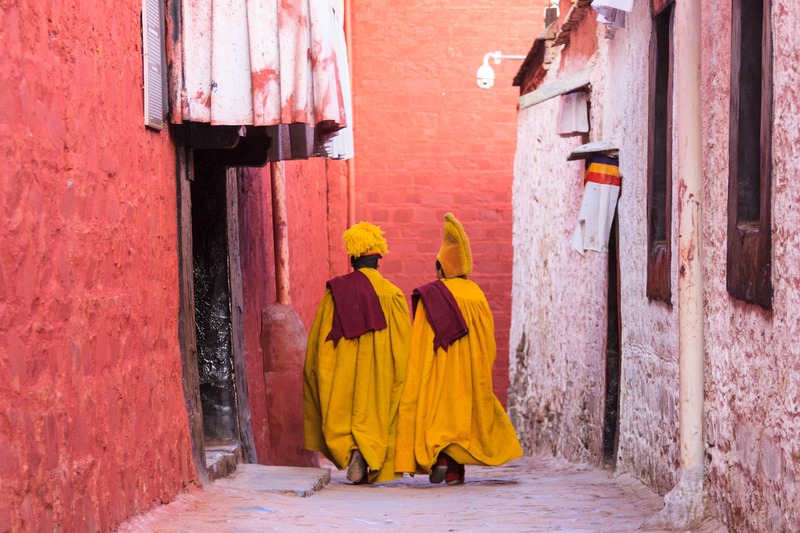 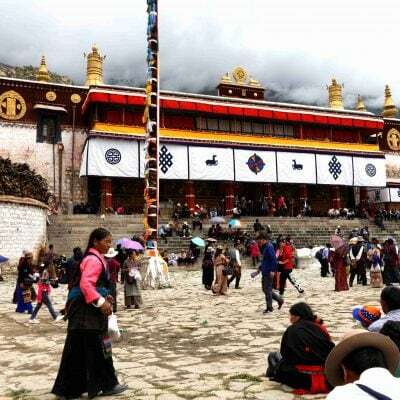 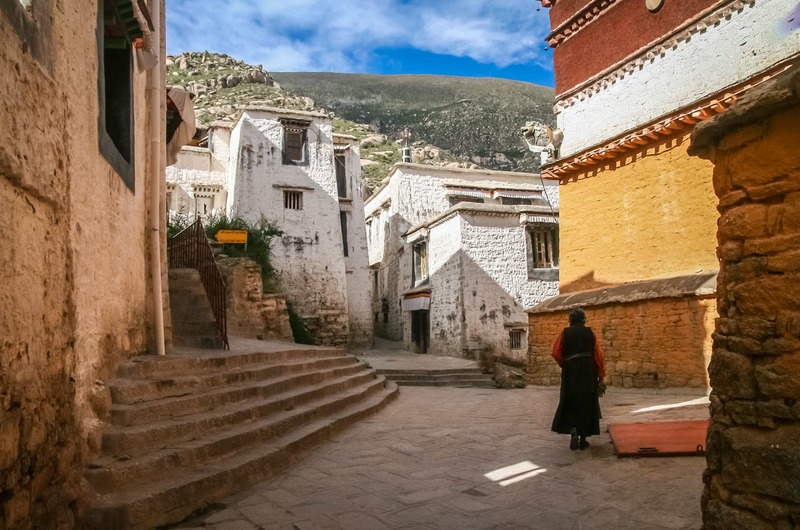 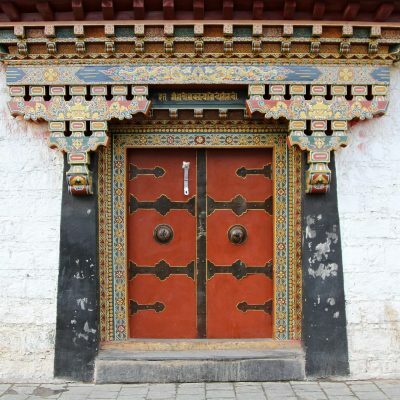 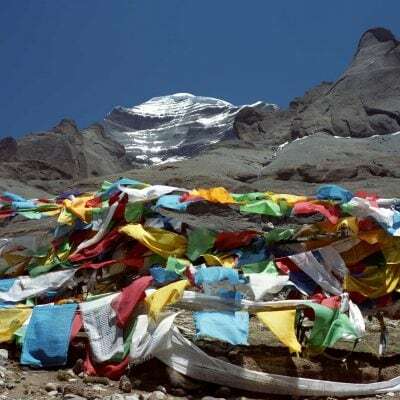 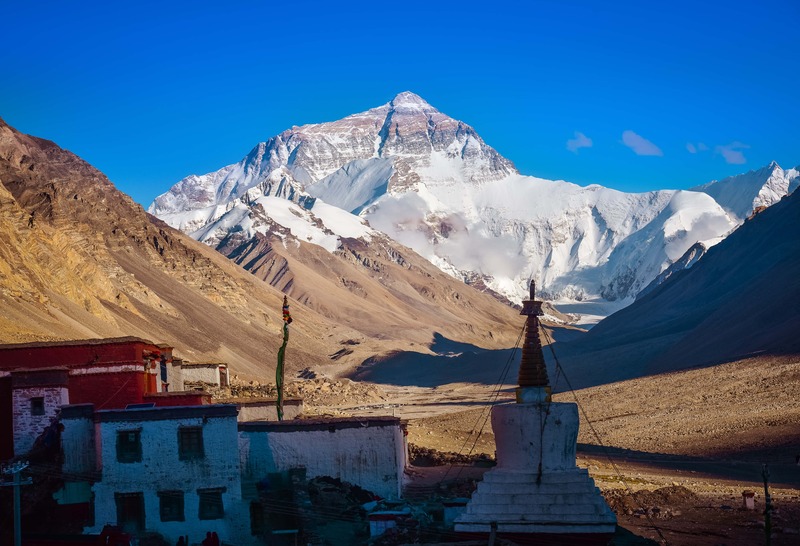 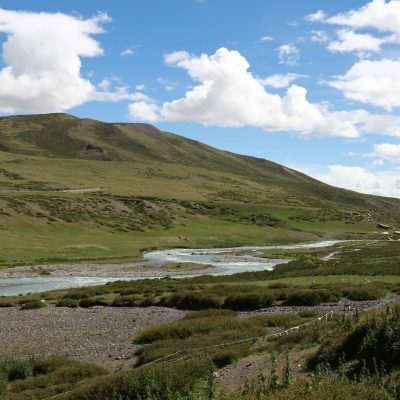 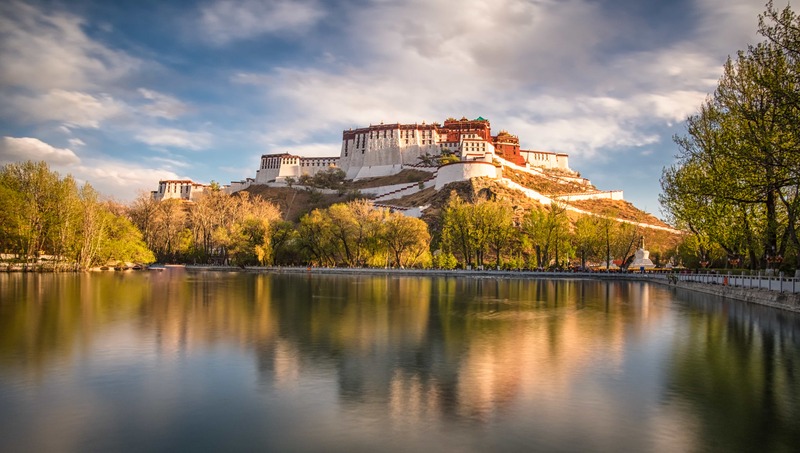 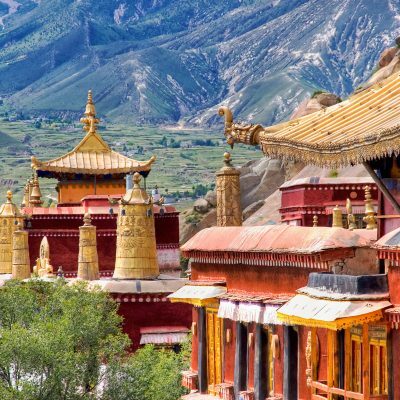 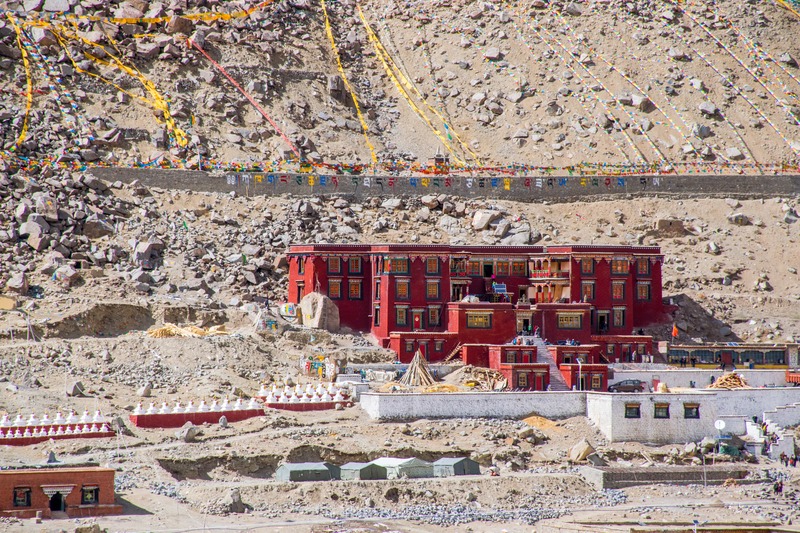 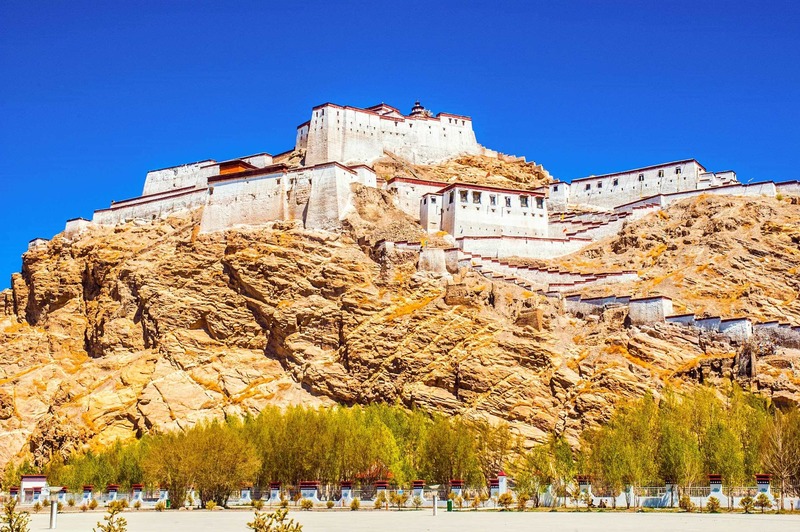 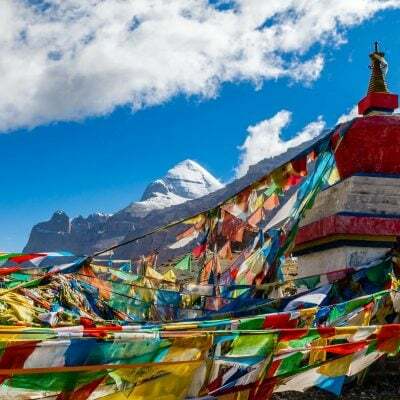 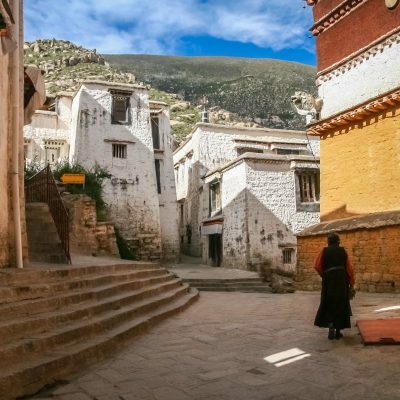 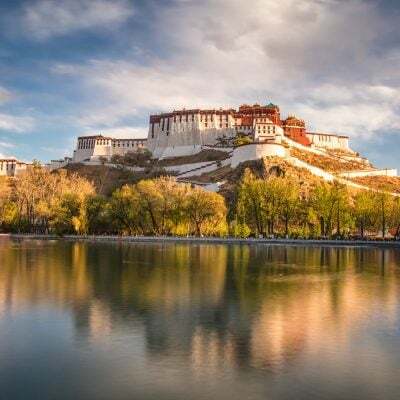 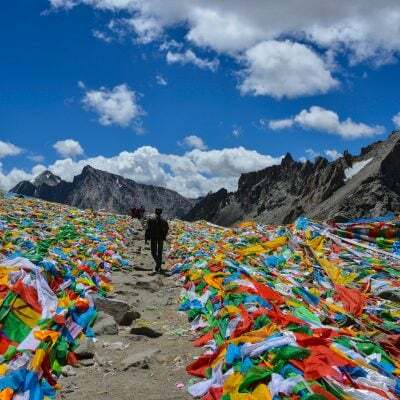 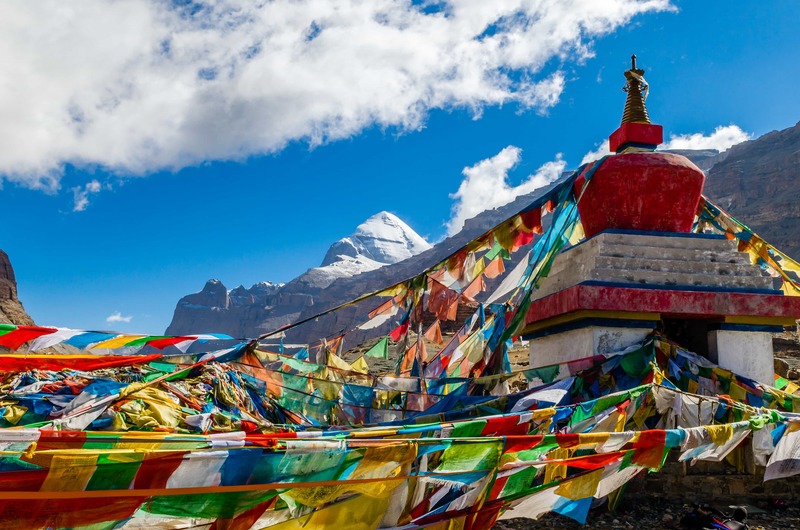 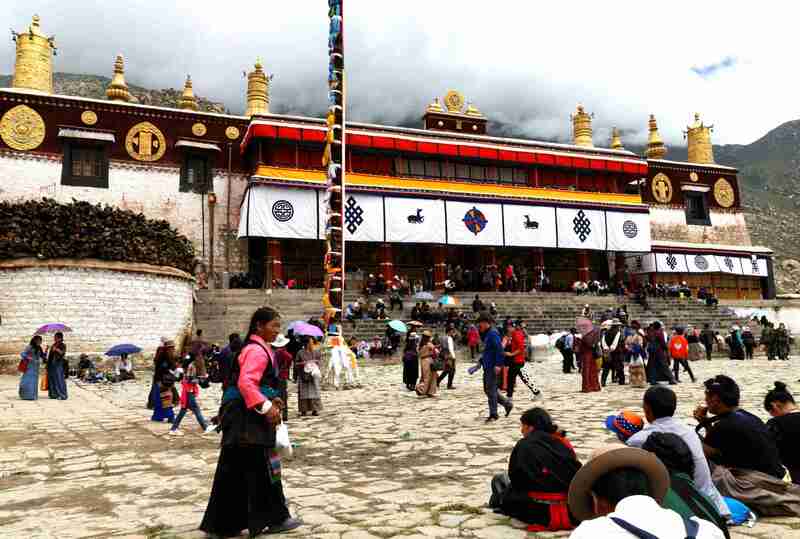 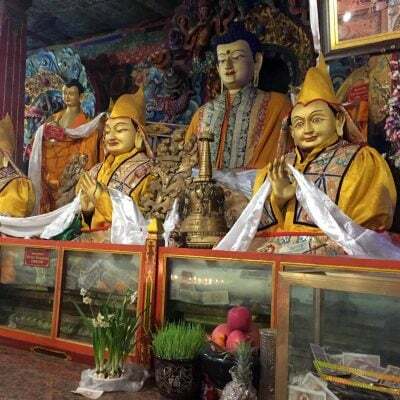 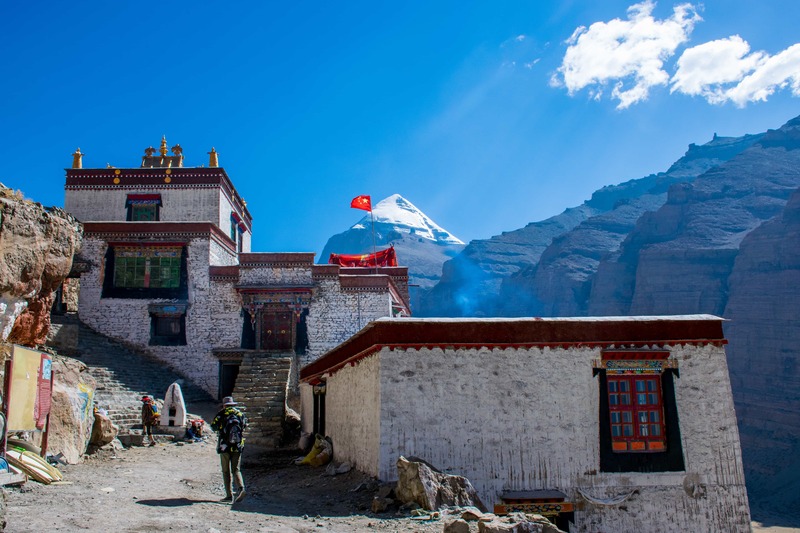 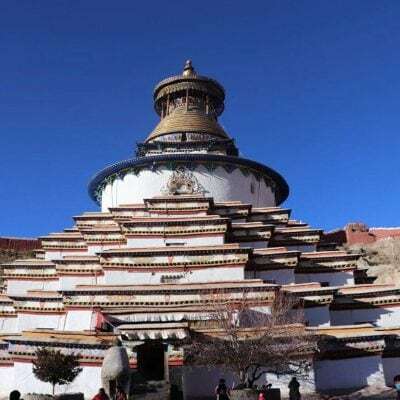 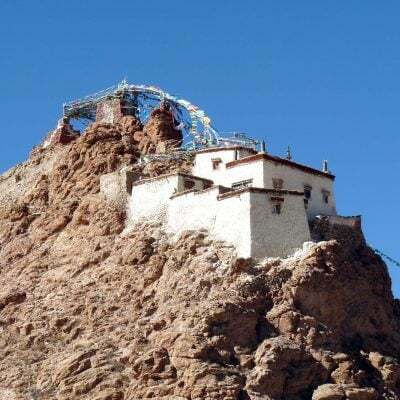 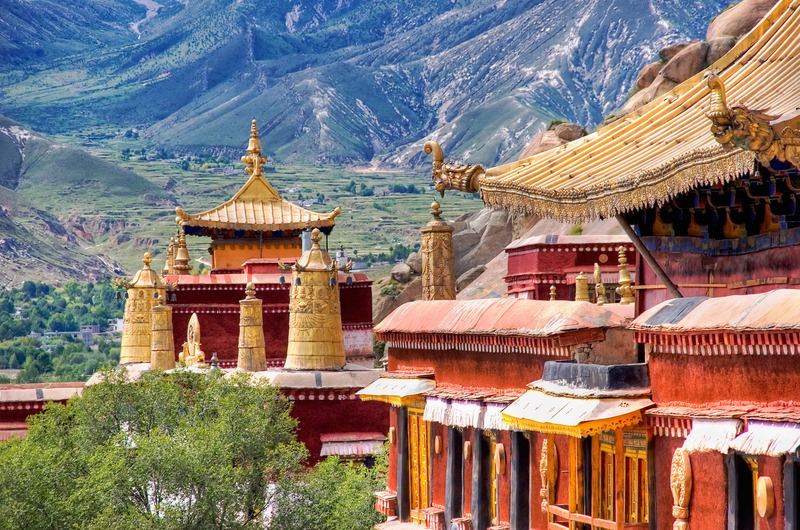 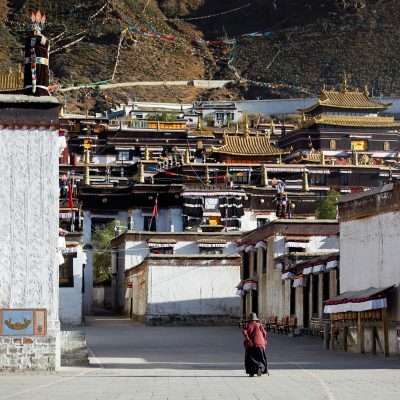 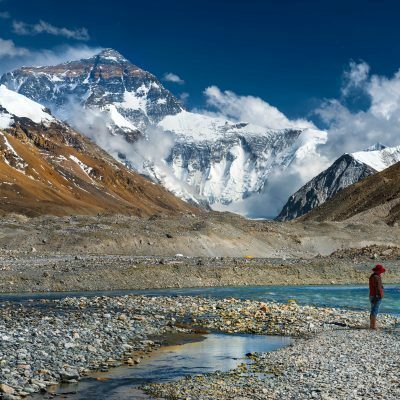 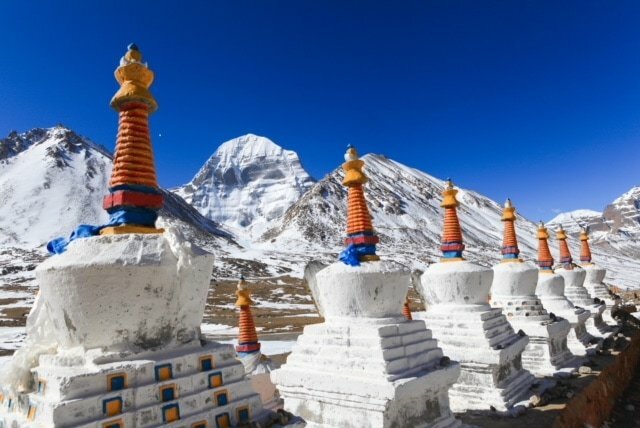 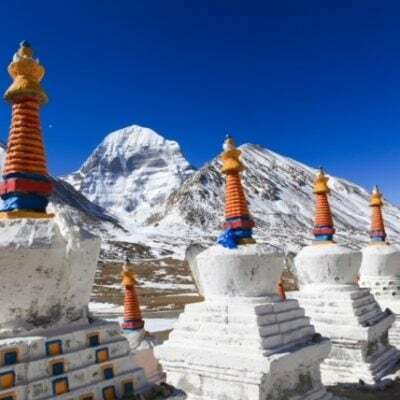 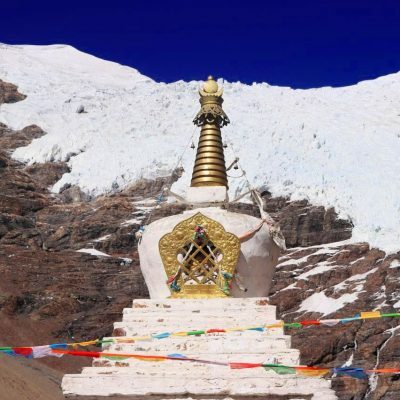 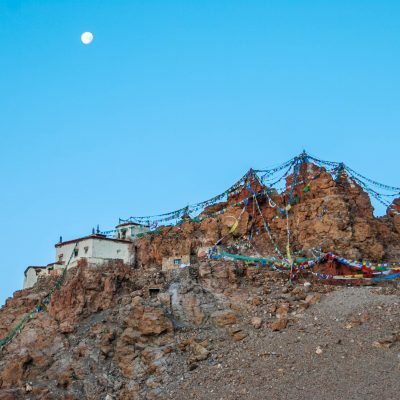 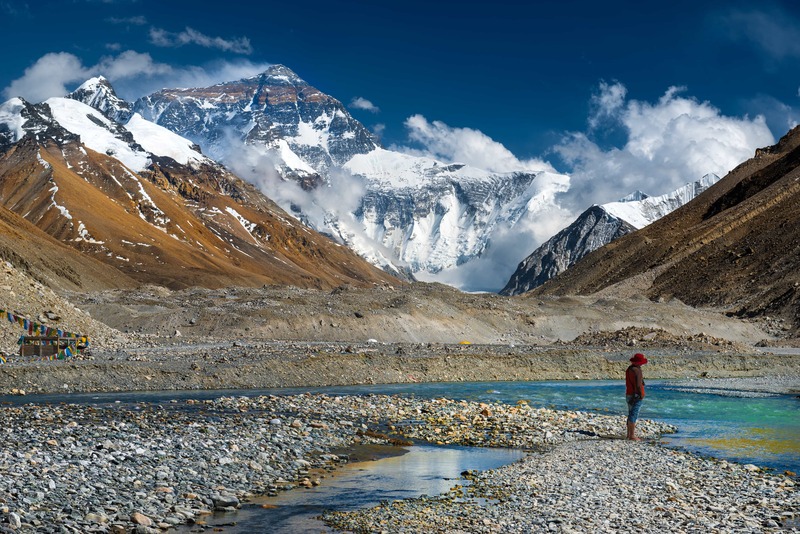 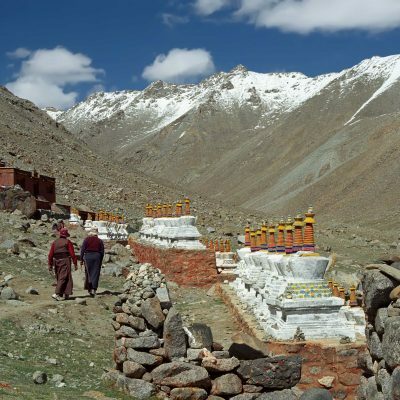 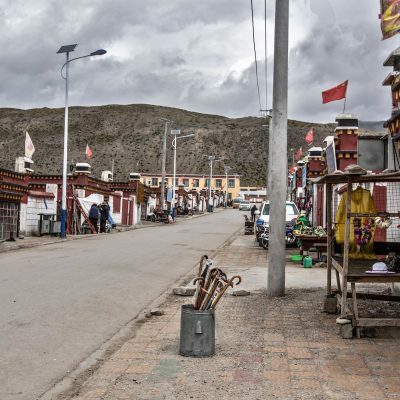 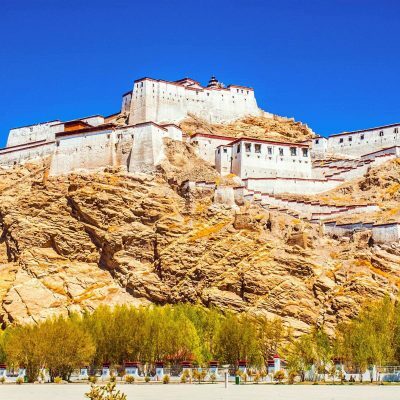 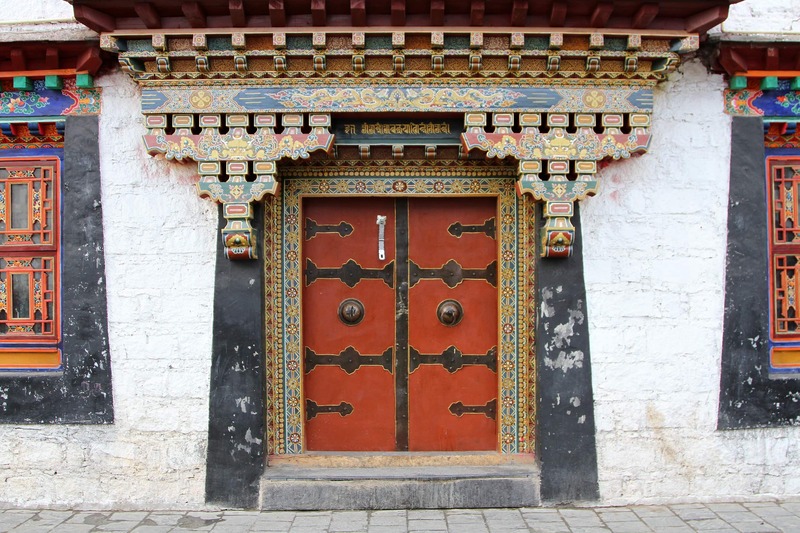 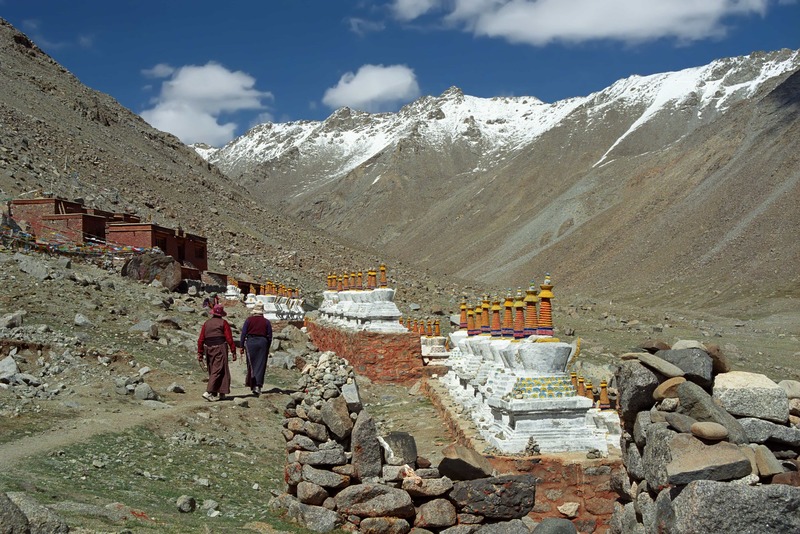 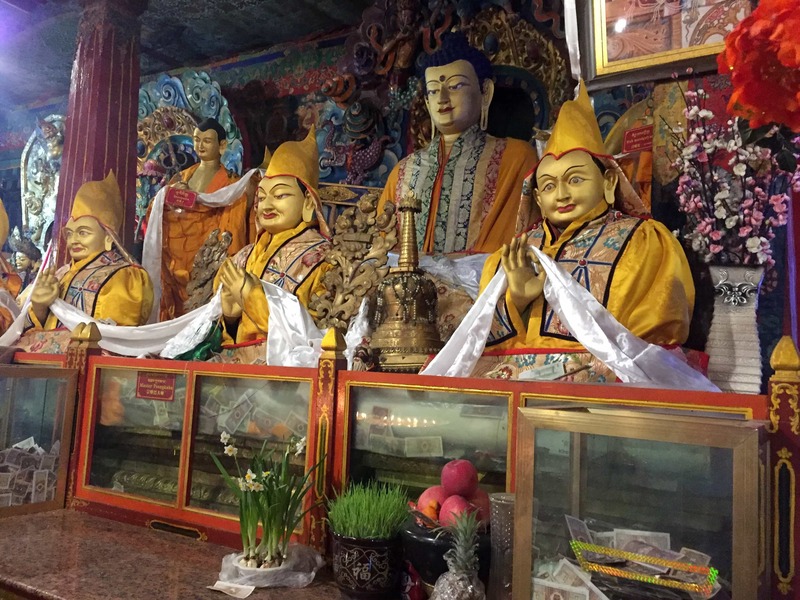 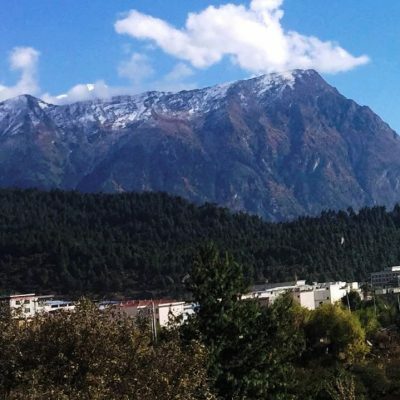 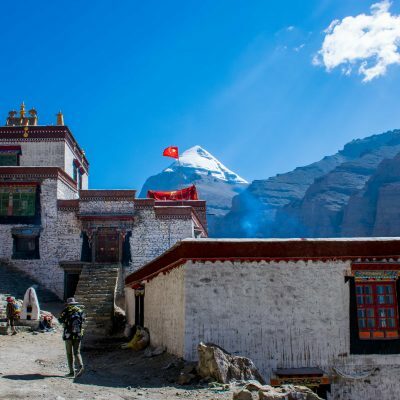 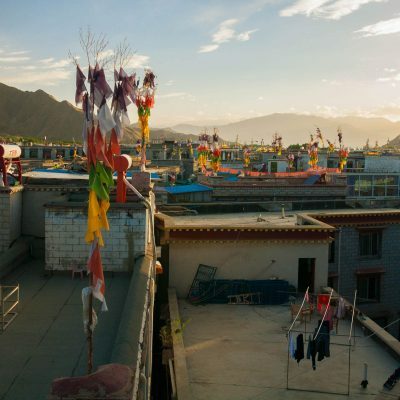 This tour includes sightseeing in Lhasa, the capital of Tibet, visiting Mount Everest and three days trekking around Mount Kailash – the sacred mountain for four religions. 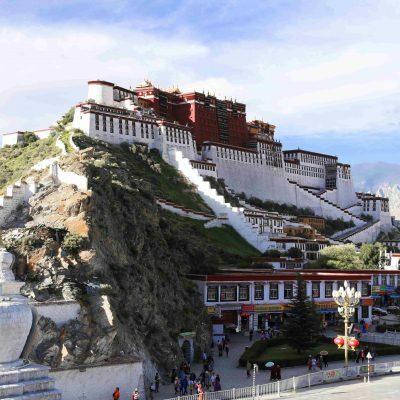 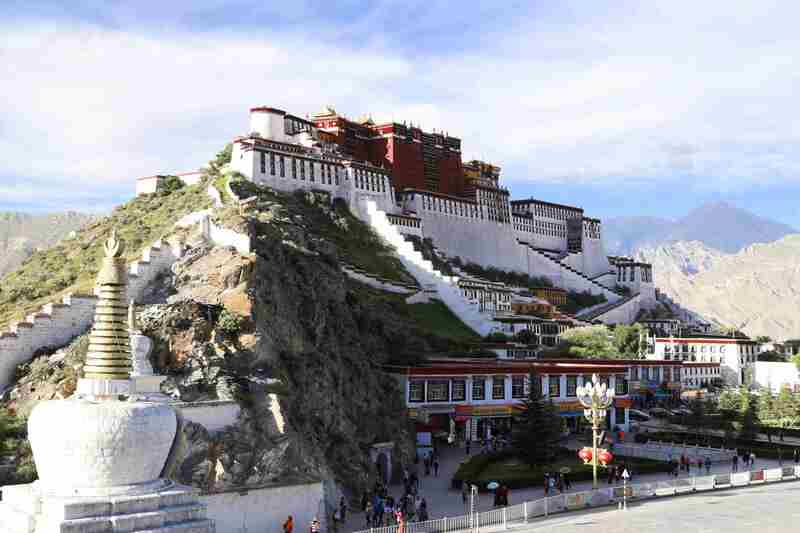 Main Attractions: Potala Palace, Jokhang Temple, Drepung and Sera Monasteries, Yamdrok Lake, Kumbum Stupa, Tashi Lumpo Monastery, Everest Base Camp, Rongbuk Monastery, Manasarovar lake, Chiu monastery and Mount Kailash. Most importantly, on your first day in Tibet, be sure to relax, enjoy your day and allow some time for acclimatizing. 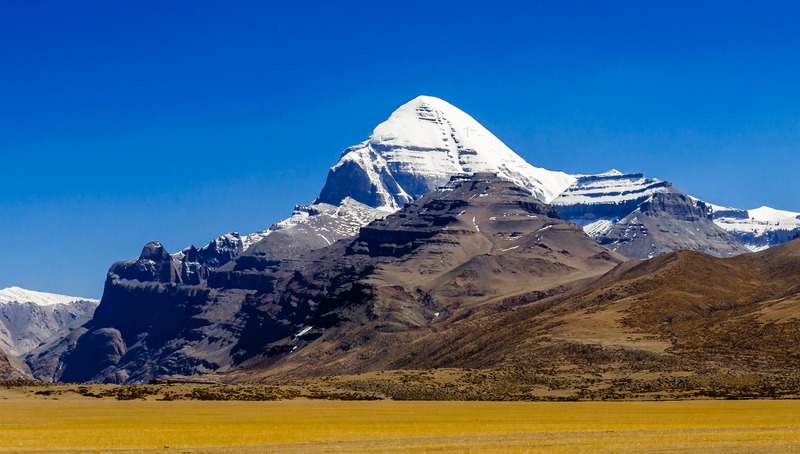 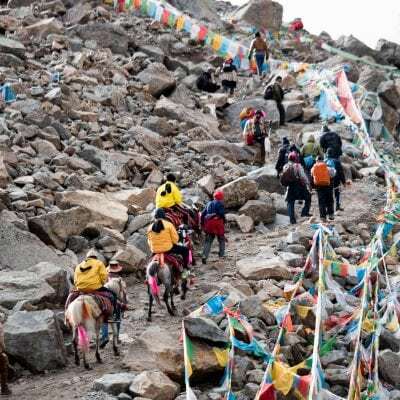 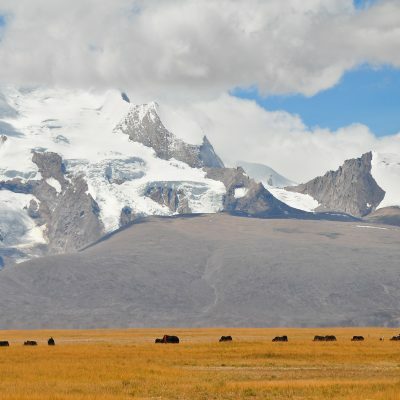 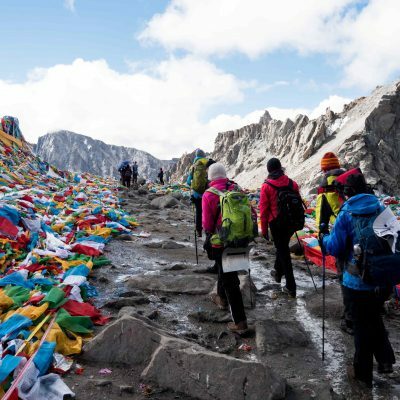 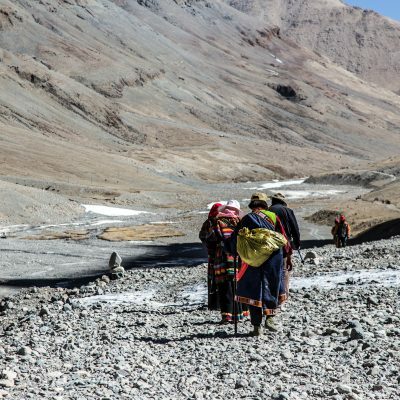 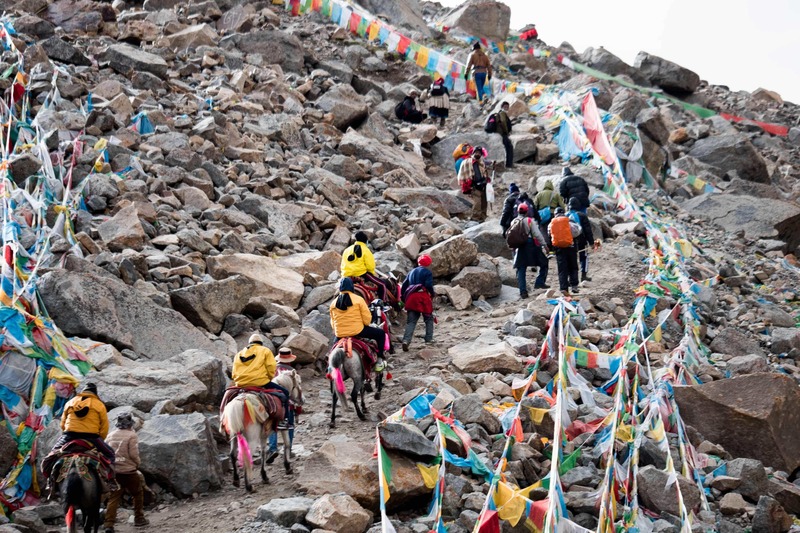 As the tour takes you to some of the highest areas in Tibet (trekking around Kailash reaches 5,640 meters), you need extra time to prepare for the journey. 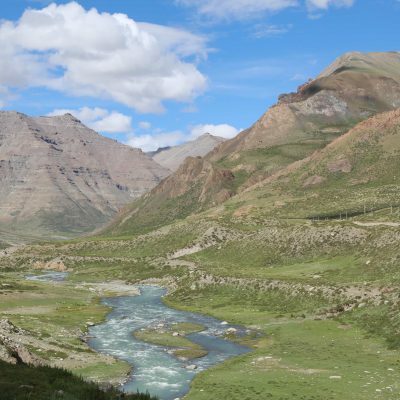 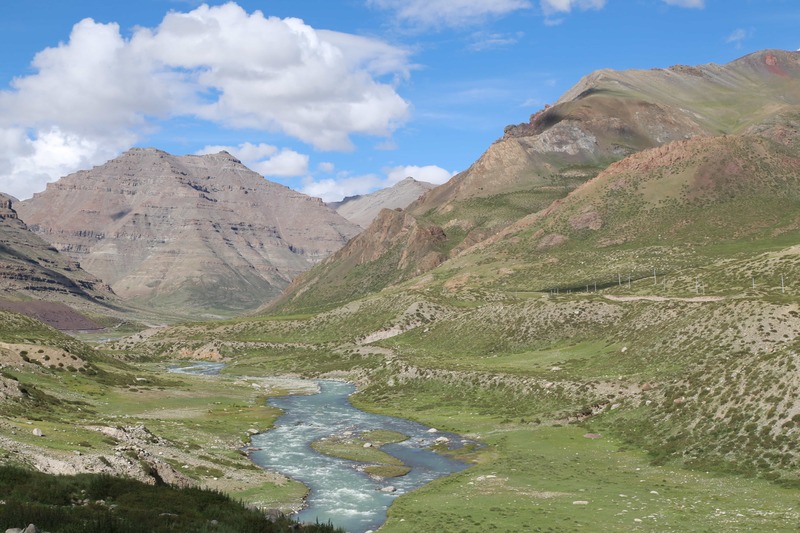 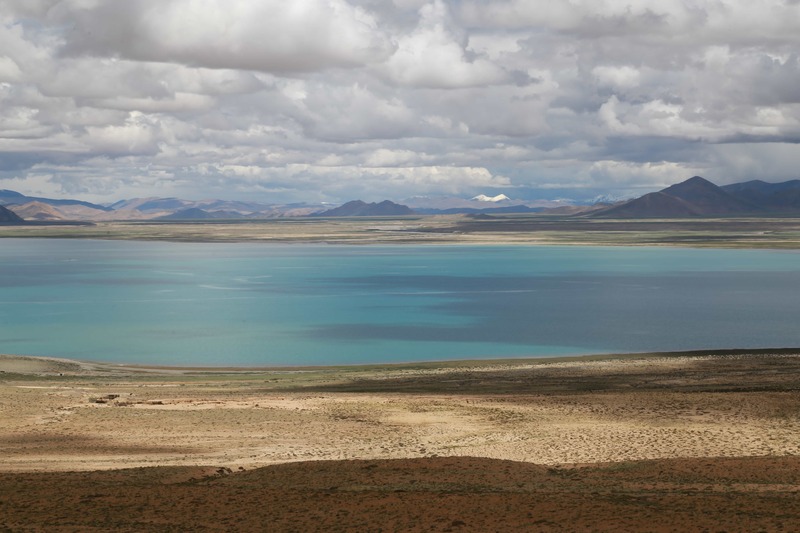 Day 4 – Driving to Shigatse: Yamdrok lake and glaciers. 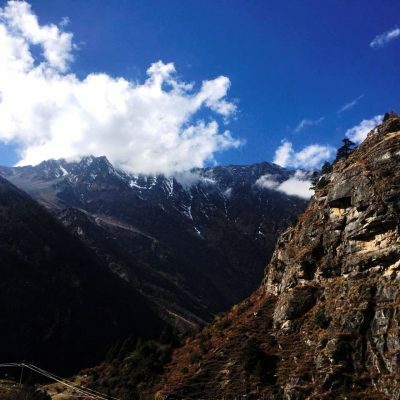 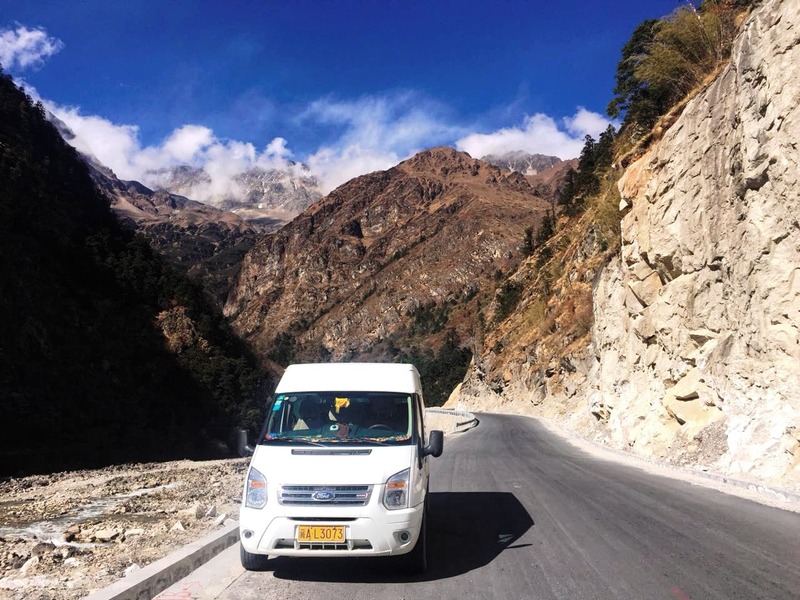 Day 5 – Driving to the Everest Base Camp: night by the Everest. 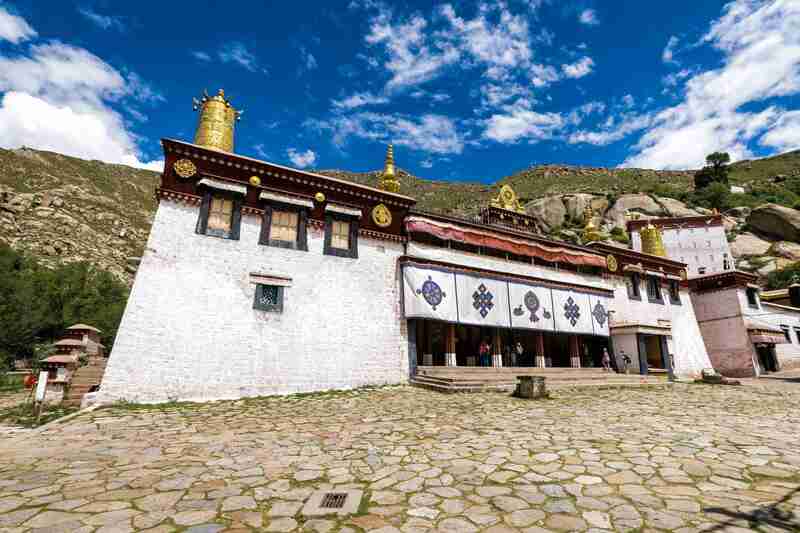 In the morning we will visit Tashilumpo Monastery, the seat of Panchen Lamas. 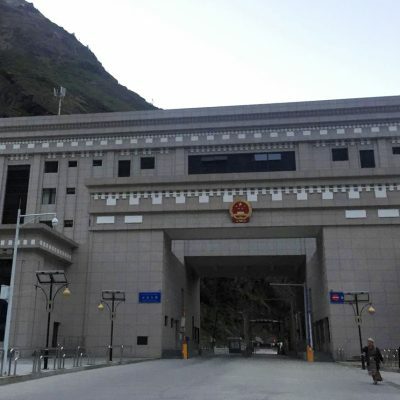 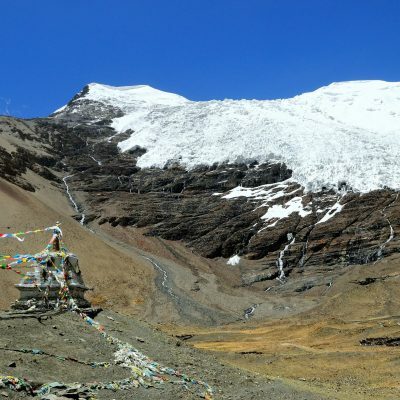 After that we will be driving through high mountain ranges, go through several high passes and Everest view points. 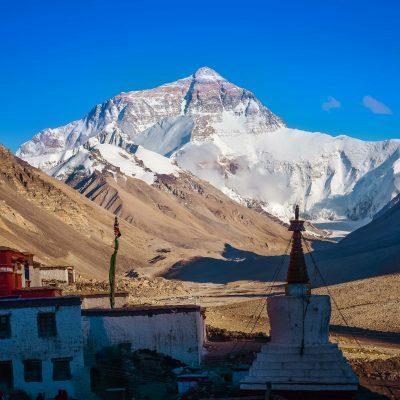 We will reach tent camp near the Everest Base Camp in the evening. 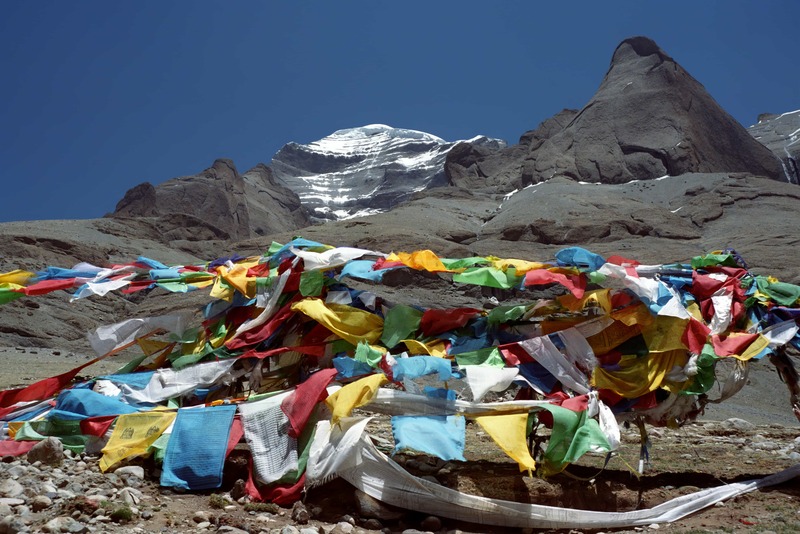 On the way to the Manasarovar lake, we visit the 7th-century local temple. 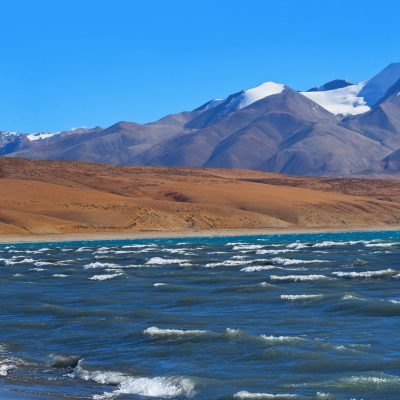 We will also stop at the desert area filled with sand dunes (an unexpected change of landscape!). 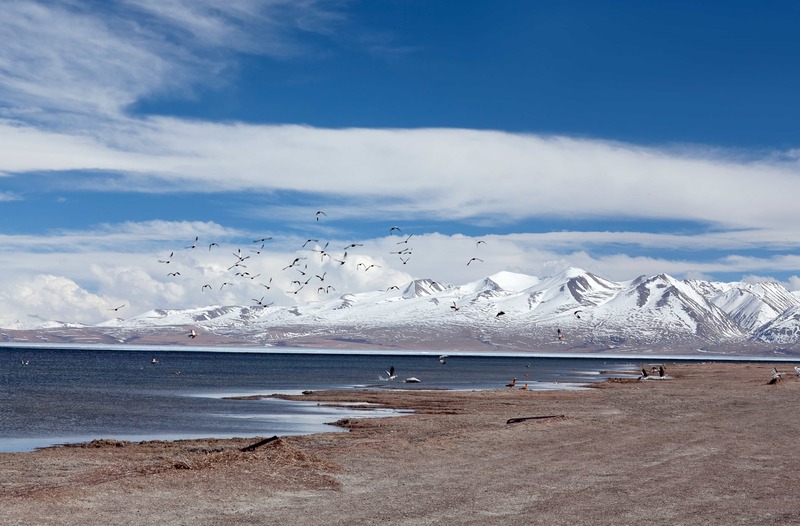 After a short stop with a view on Manasarovar lake, we are driving to Darchen. 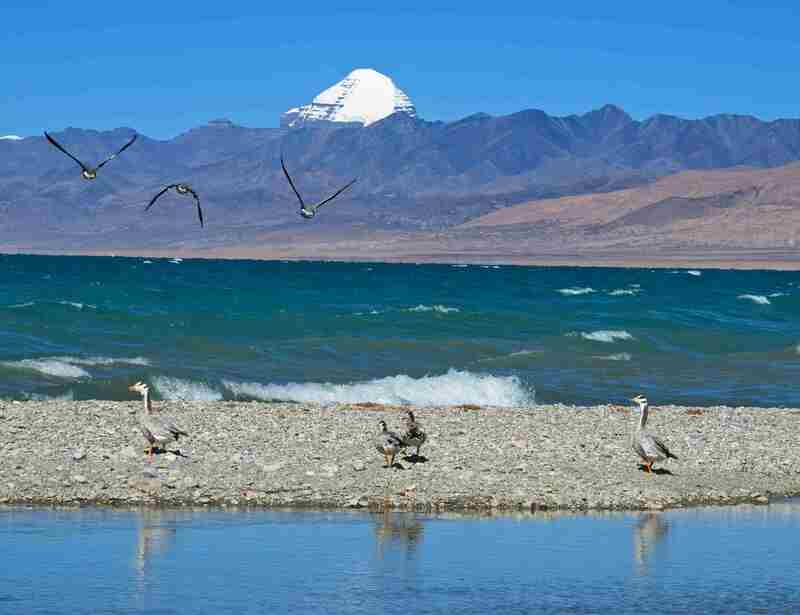 From Darchen you can see the Southern side of Mount Kailash. 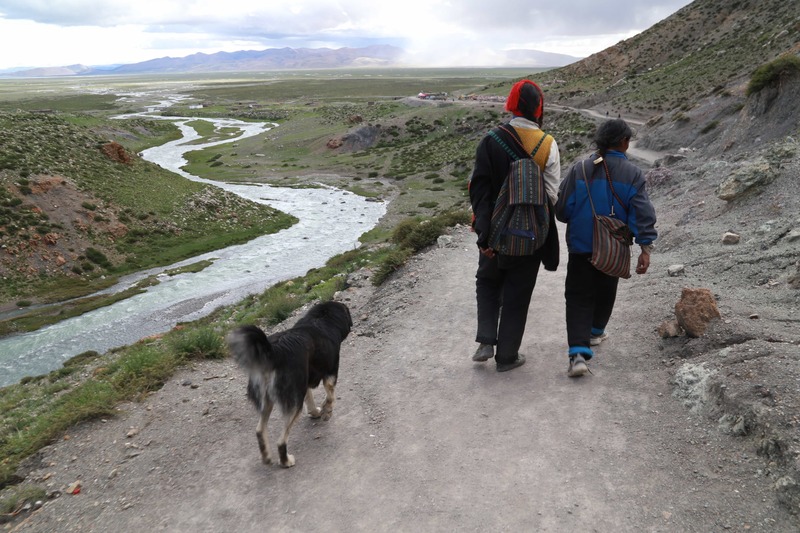 In Darchen we will pack for the 3-day trek, and we are leaving everything else in the hotel. 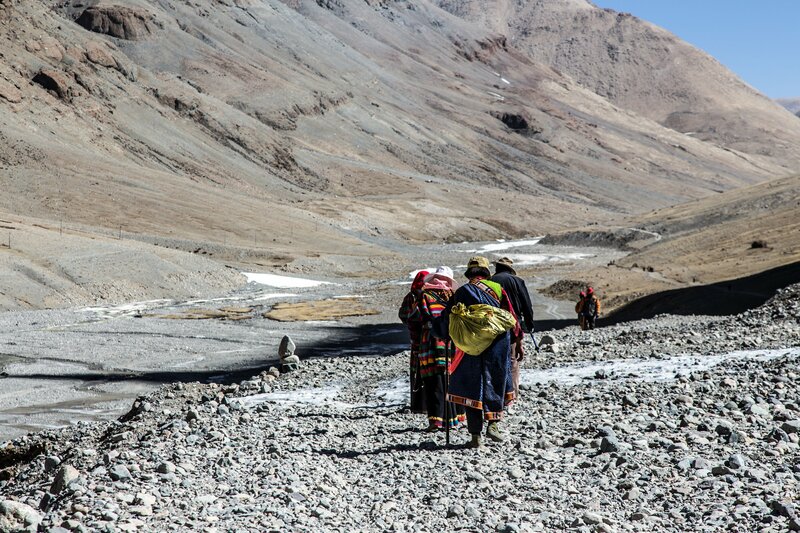 There is a company in Darchen that can arrange porters if needed for some fee. 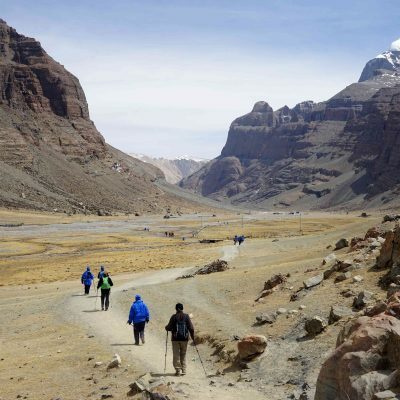 Staying in the hotel (a hot shower is available for a fee). 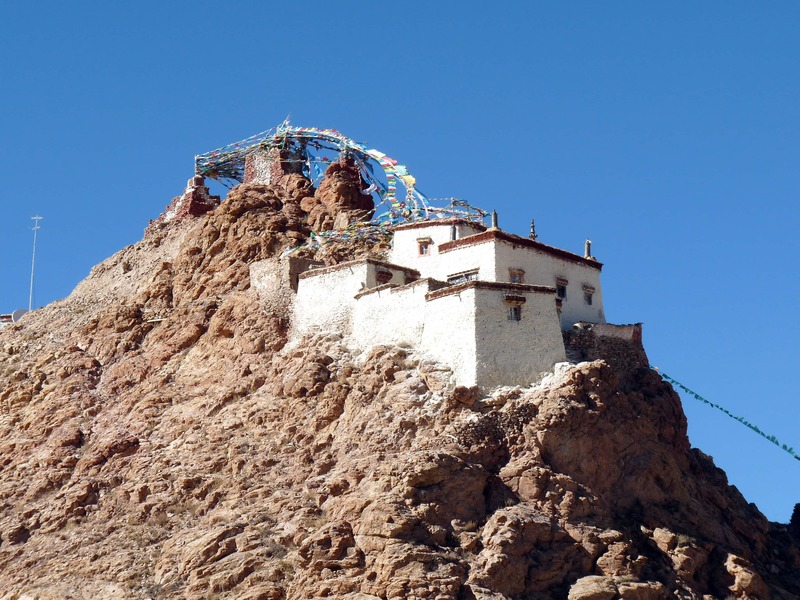 In the afternoon we will continue to the Dira Puk Monastery and stop there for the night (at a guesthouse). 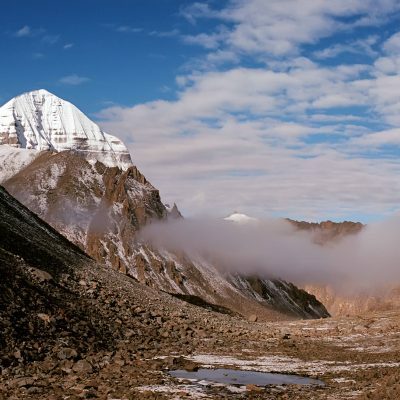 From the guesthouse you will get a spectacular view of the north face of the Kailash Mountain. 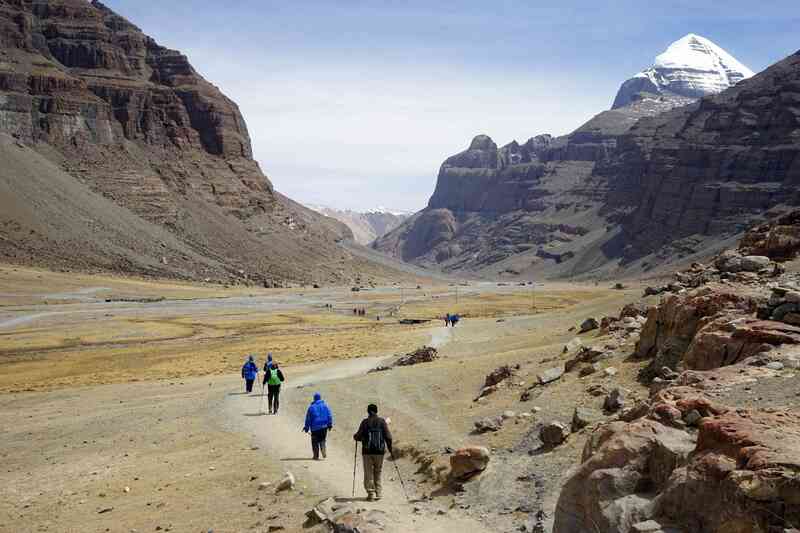 On the second day we will start the trek very early to go through the highest pass. 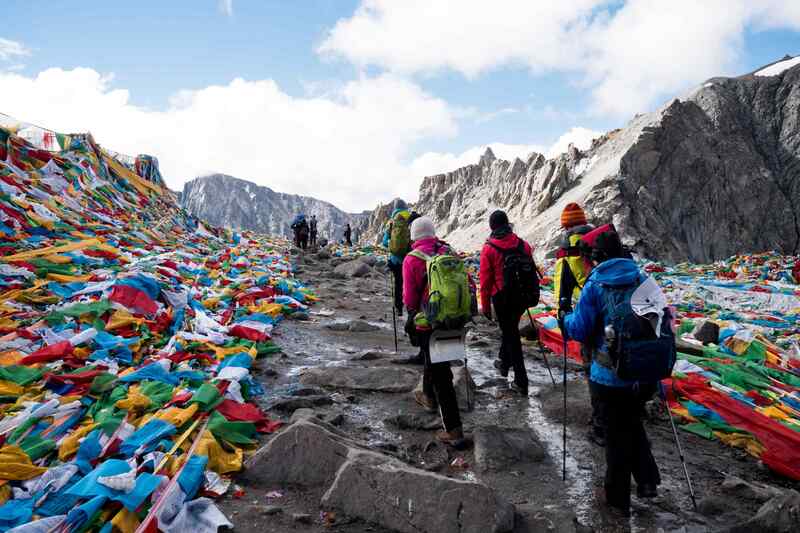 First we will walk to the tea house to have breakfast and prepare for crossing the pass. 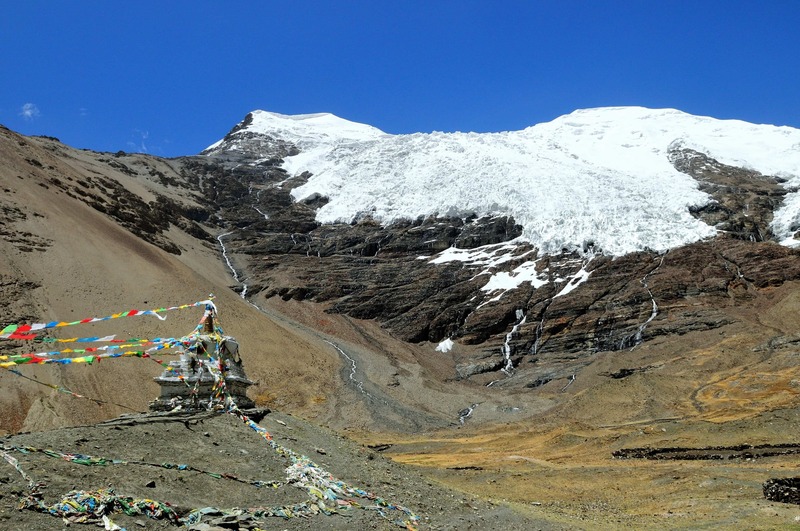 After we are done eating, we will start ascending the pass. 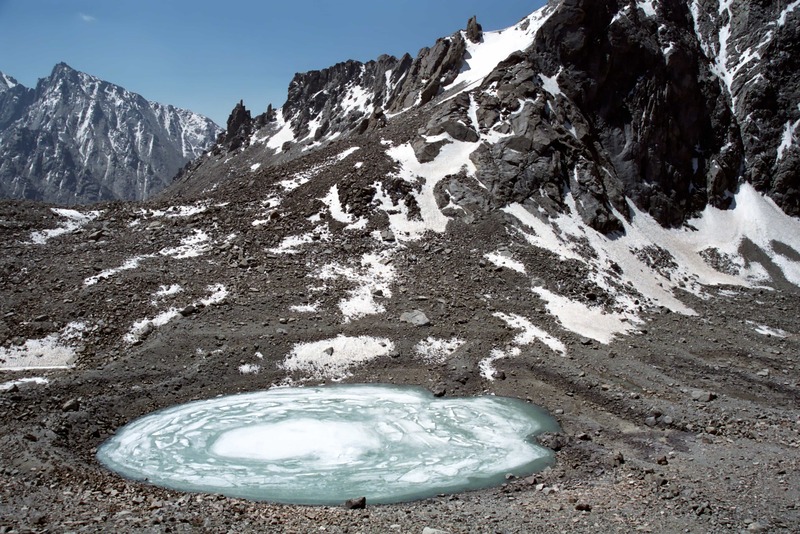 The Dolma La Pass is 5,630 meters/ 18,600 ft. high. 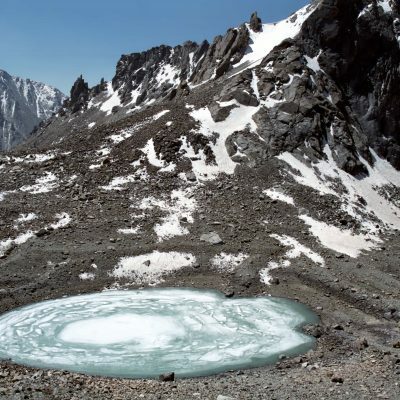 Once you reach it, you can see the stunning views of the mountains and the lakes below. There are many colorful prayer flags that people hang there to spread their prayers with every gust of wind. 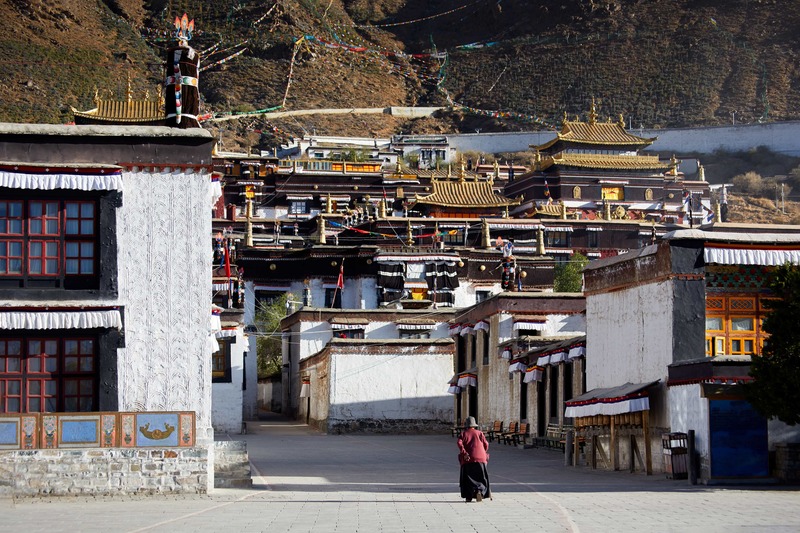 After that, we will walk to the Zutiul Puk Monastery where we will be staying overnight (in a guesthouse). 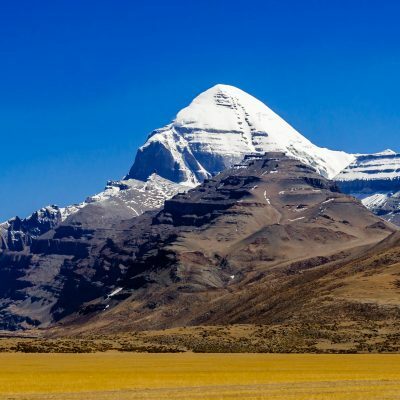 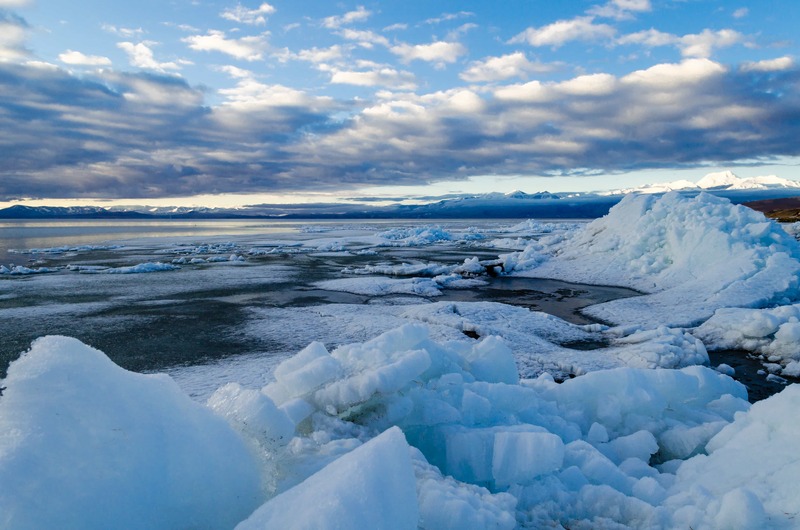 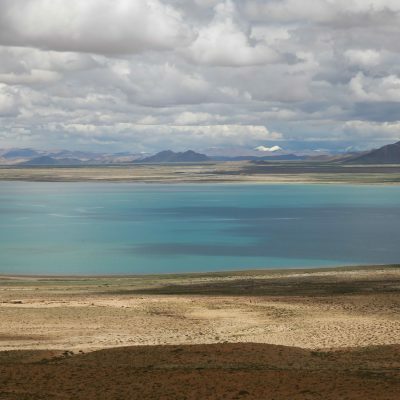 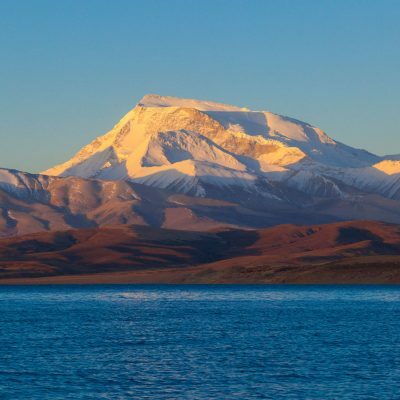 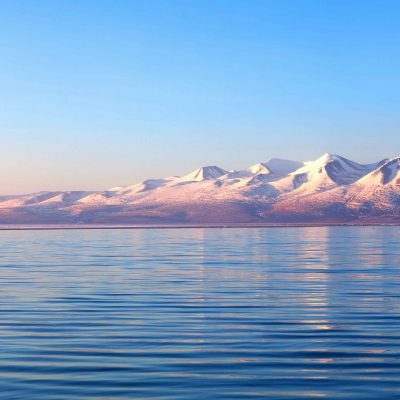 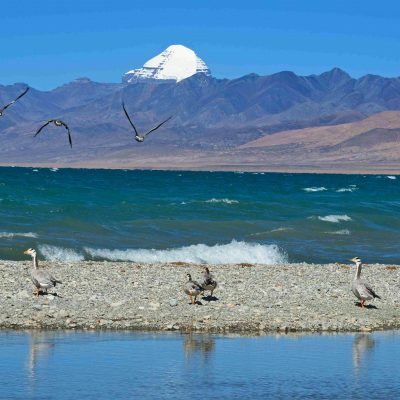 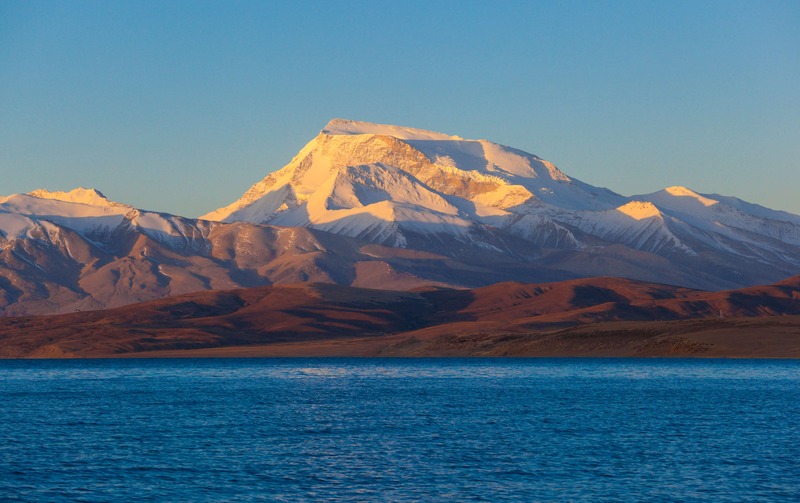 In the morning, we will drive to the holy Manasarovar Lake (4558m). 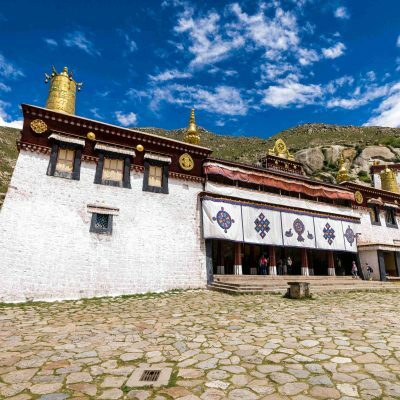 As we arrive there, we will visit 8th century Chui monastery. 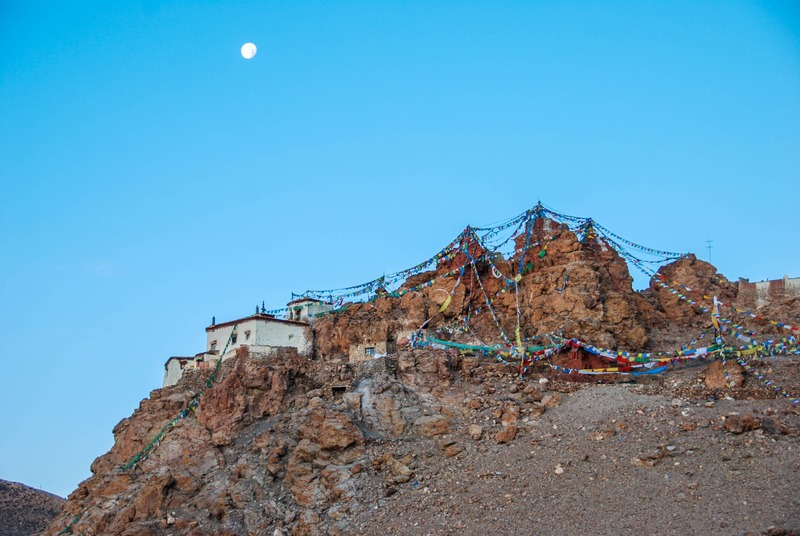 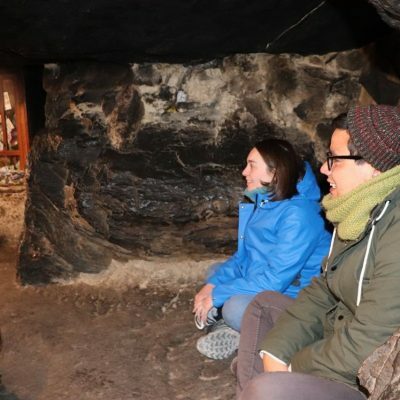 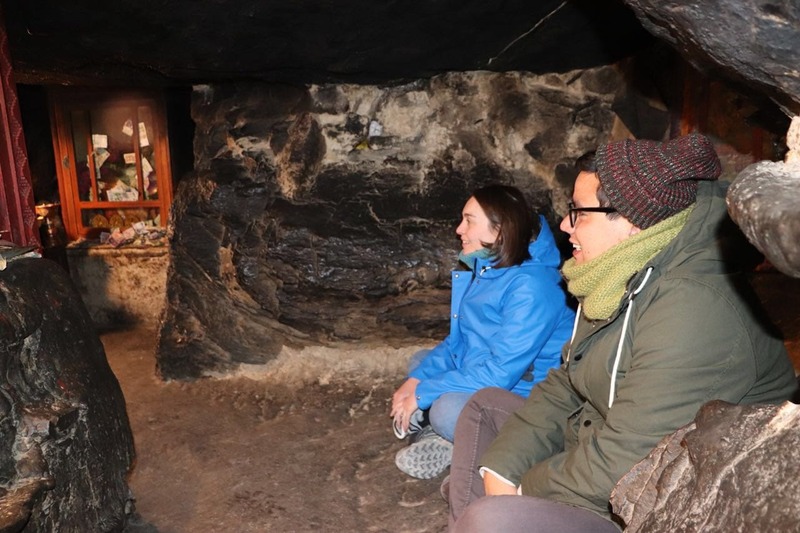 The monastery houses an important meditation cave where Padma Sambhava was meditating. 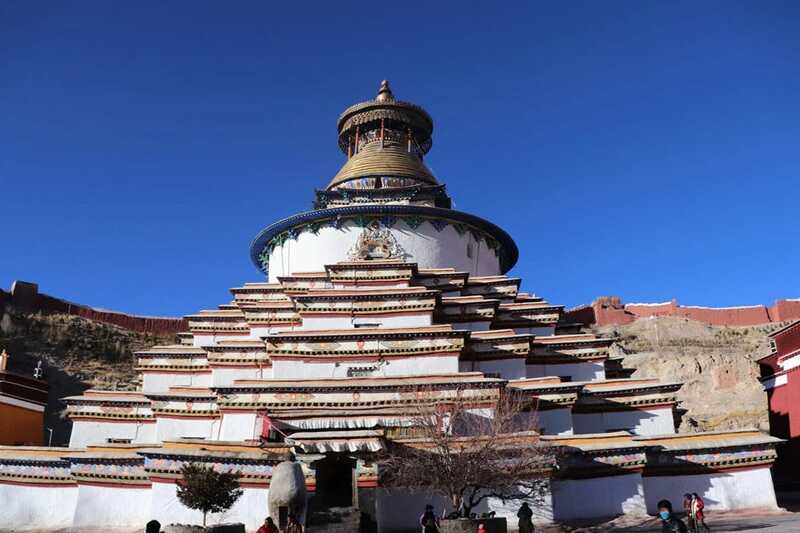 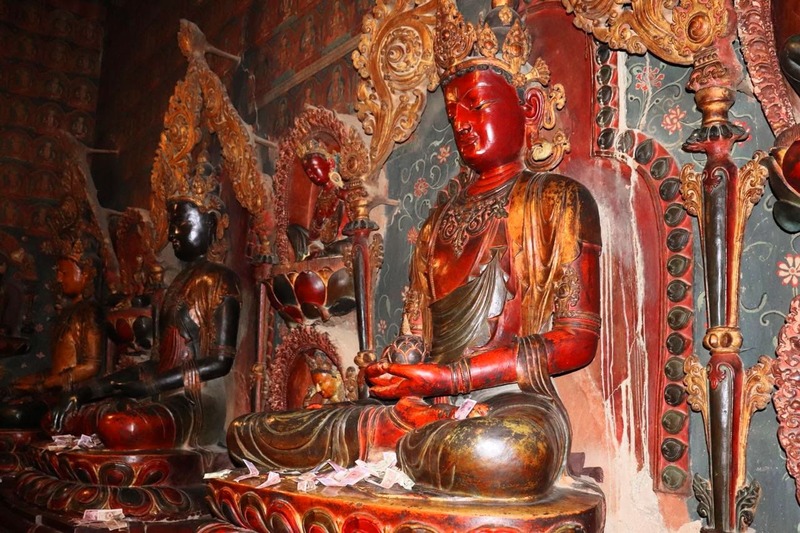 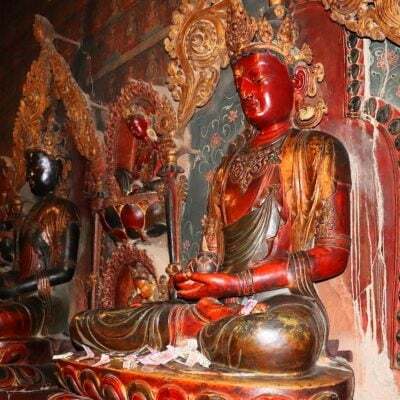 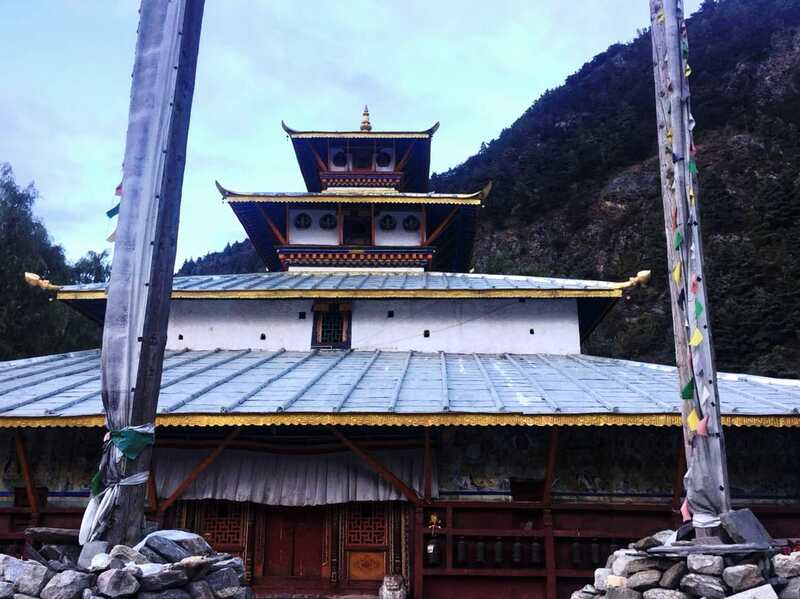 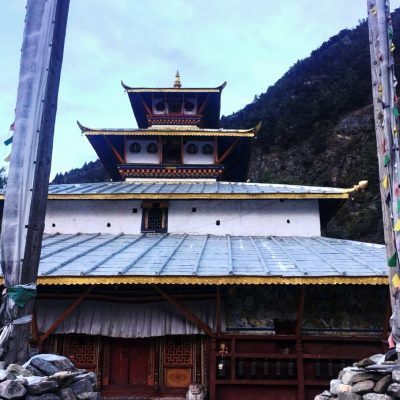 Unlike most of the monasteries that we visited earlier, Chui monastery belongs to the Red Hat sect of Tibetan Buddhism and the statue of Padma Sambhava is the main one there. 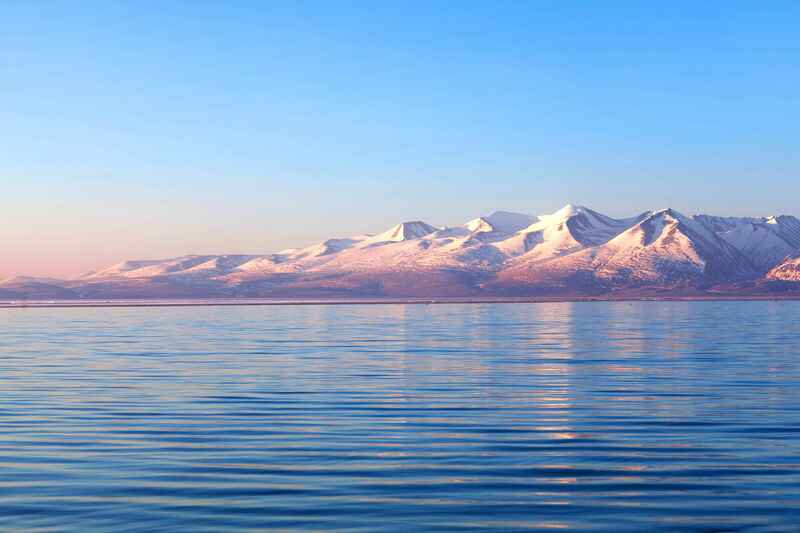 In the afternoon you can spend some time by the lake, walk y its shore. 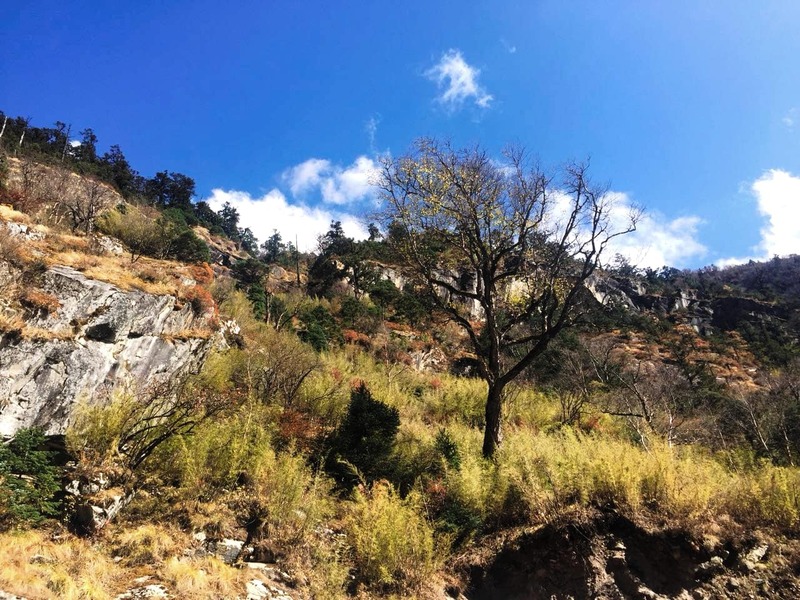 Alternatively, you can visit a hot spring (approximately 10 min walk). 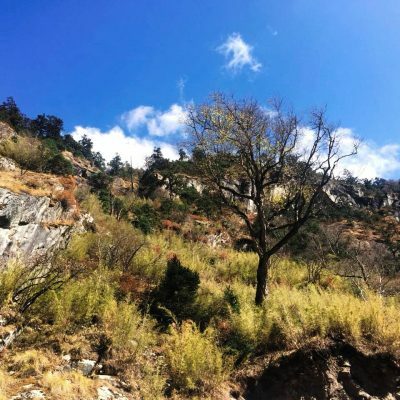 The hot spring provides bathtubs and clean facilities. 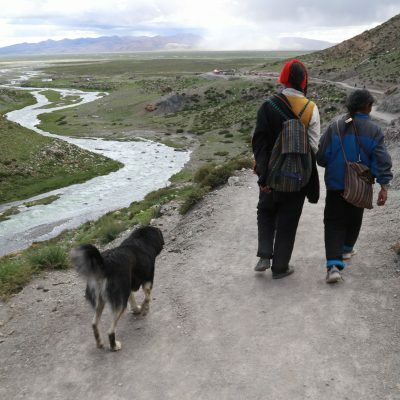 We are staying at the guesthouse overnight. 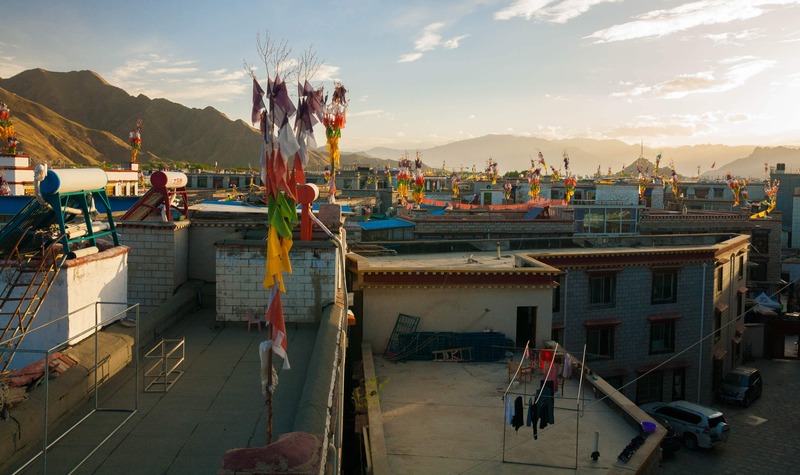 The guesthouse has dormitory rooms. 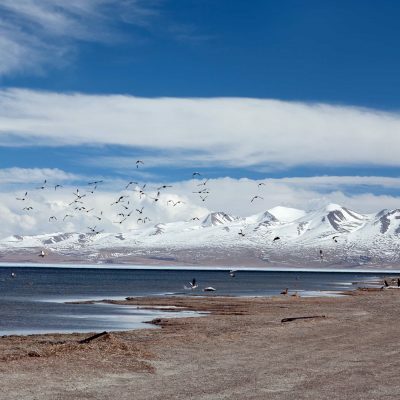 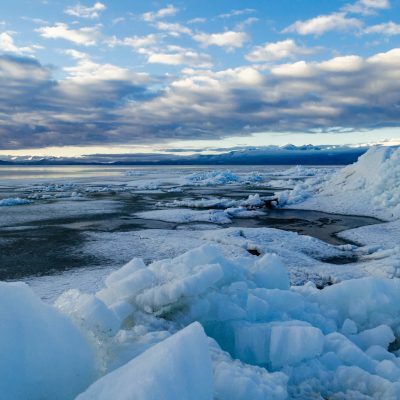 In the morning, we will leave Manasarovar lake and start driving back to Saga. 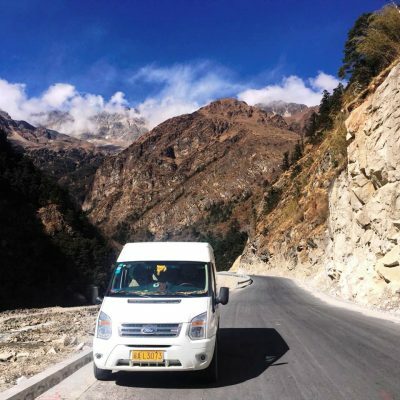 First, we will drive approximately 4 hours to Parayang. 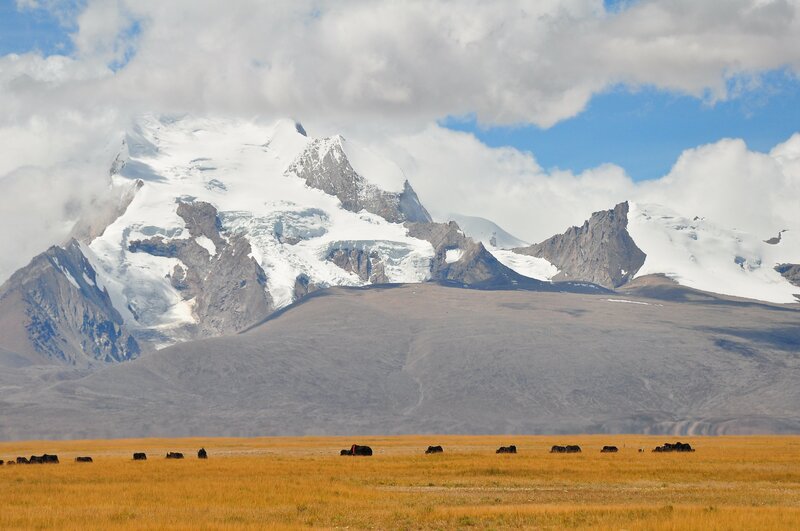 From there you can enjoy the view on the mountains in the distance, yaks herds. 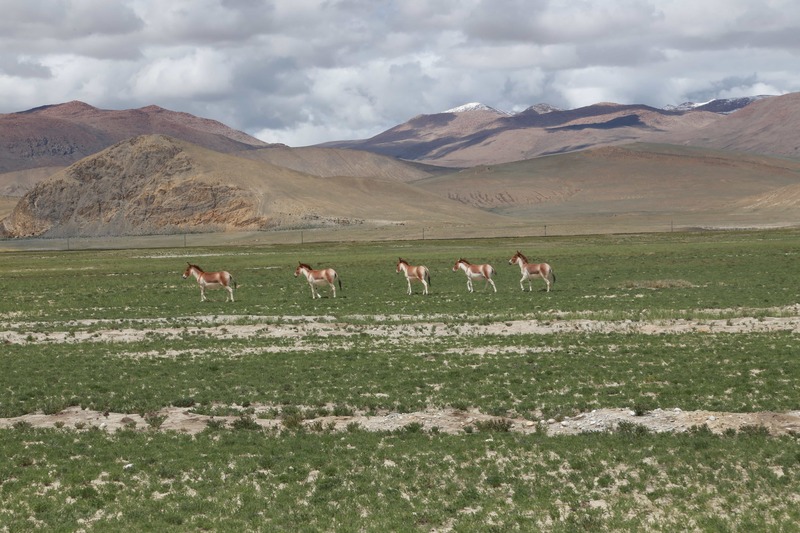 Sometimes, we can spot wild donkeys or antelopes grazing in the grasslands. 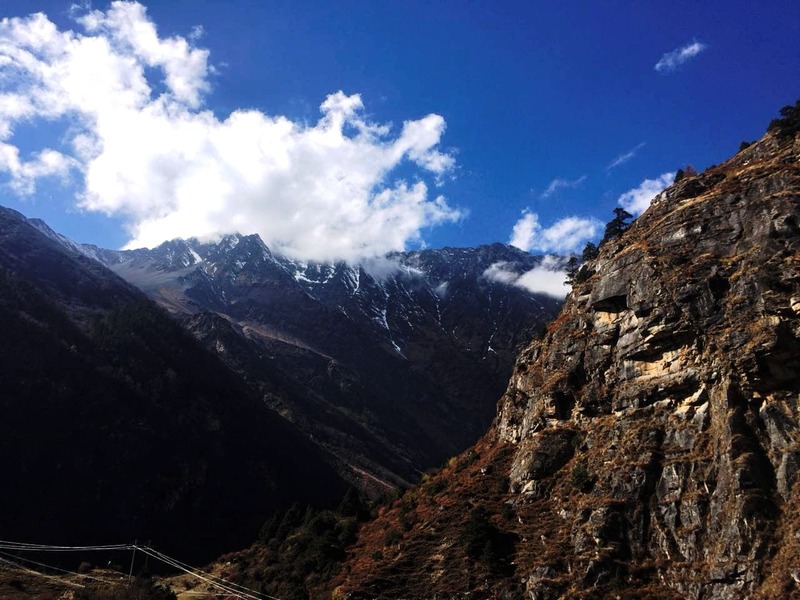 After lunch we continue to Saga. 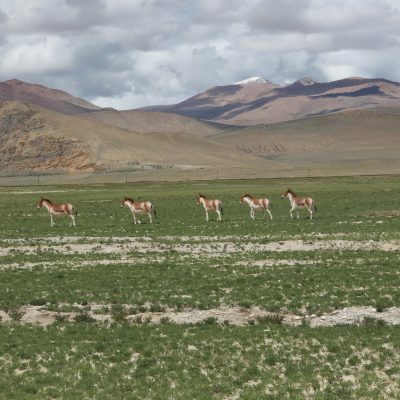 We are driving through vast grasslands, where many nomads set up their tents. 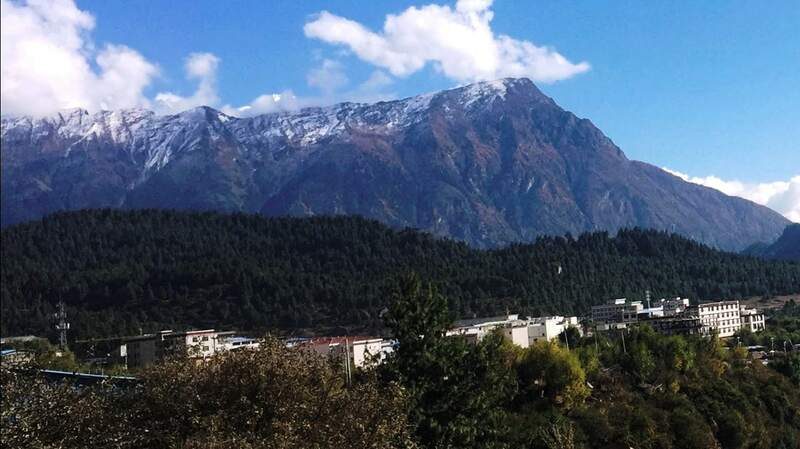 We are staying overnight in Saga hotel. 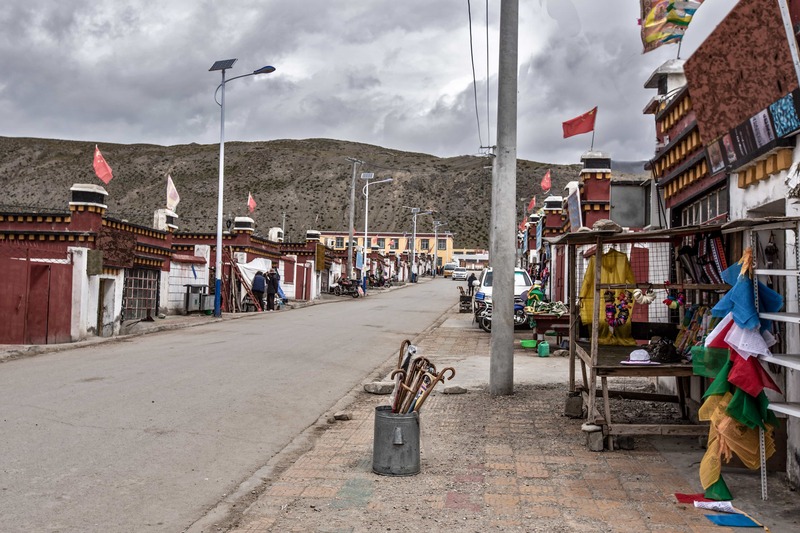 Today we are driving towards the Tibet-Nepal border at Gyirong. 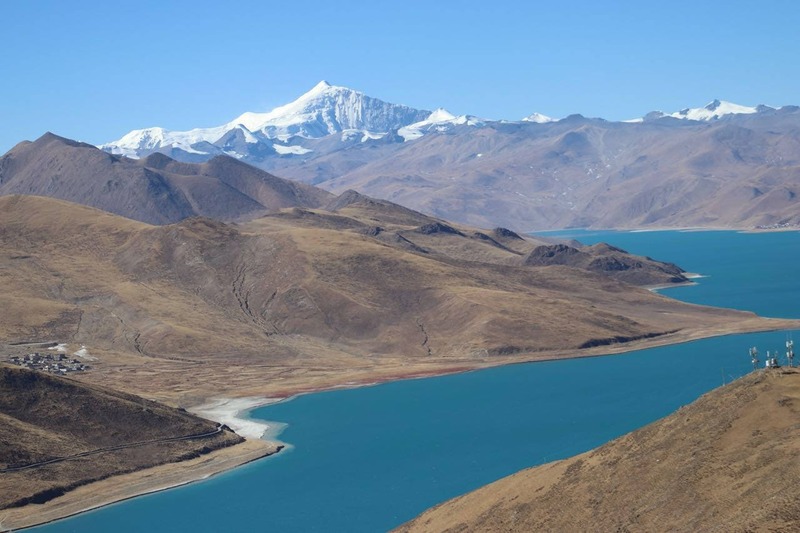 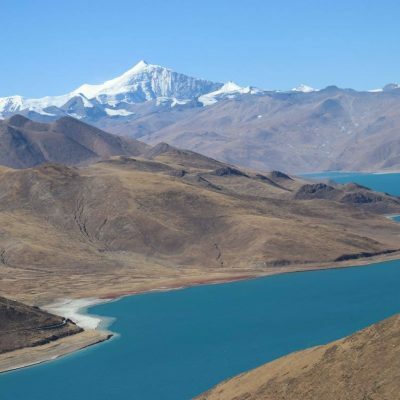 We will pass by Pelku Tso lake and see the view of the Shishapangma mountain. 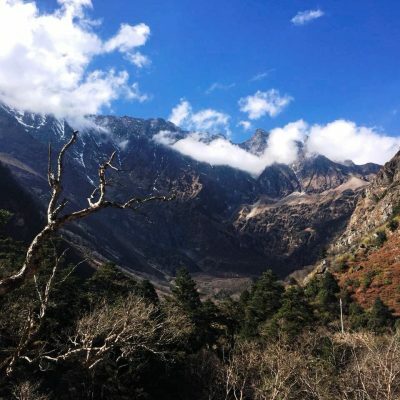 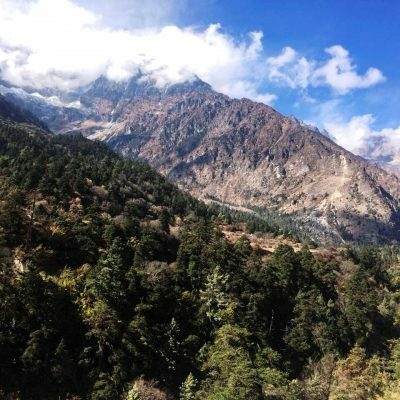 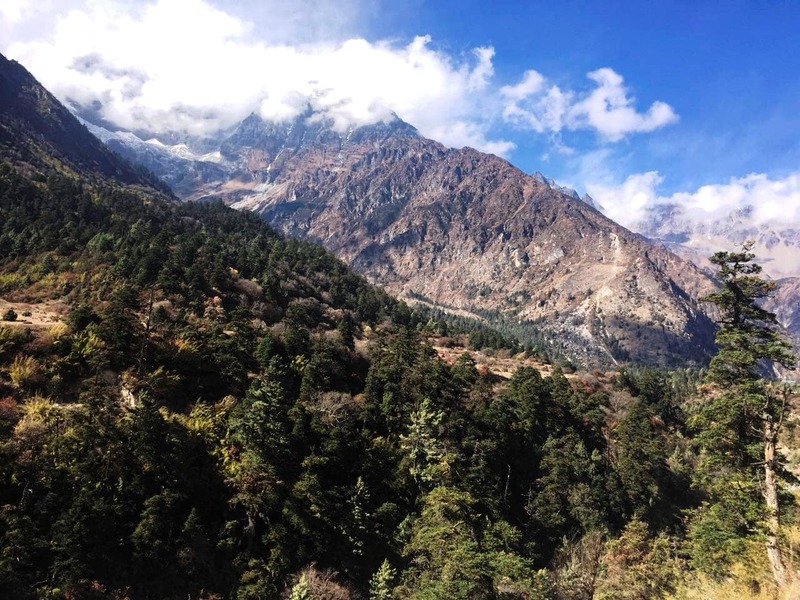 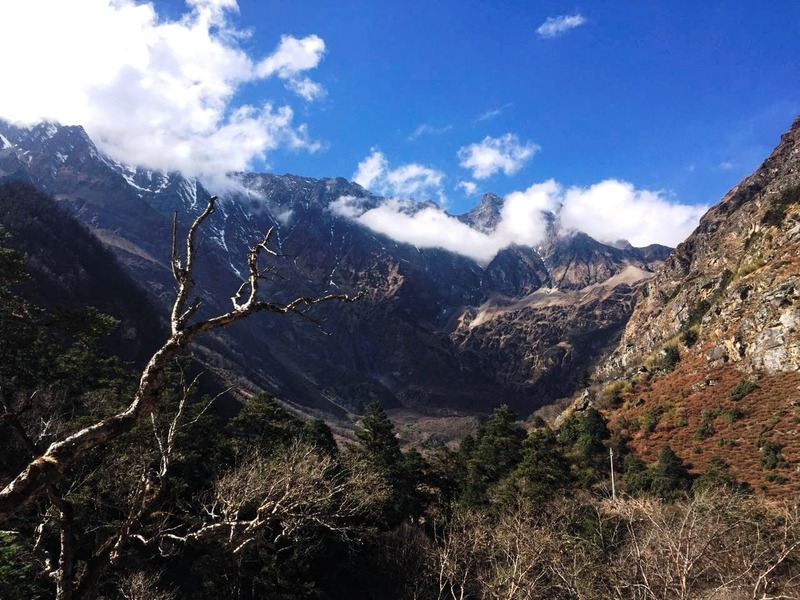 As we get closer to the Gyirong, you start seeing the stunning landscape: Himalayan mountain ranges, forests and waterfalls. 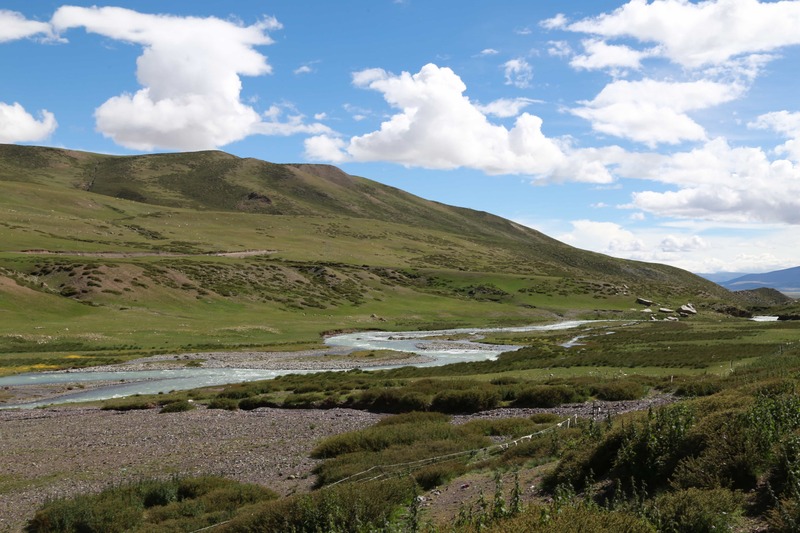 We will stay in the hotel at the Gyirong.